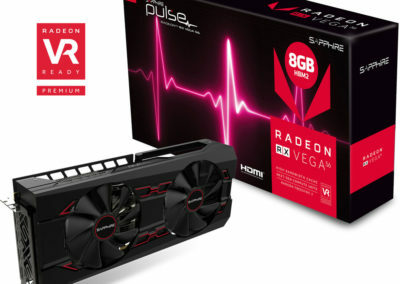 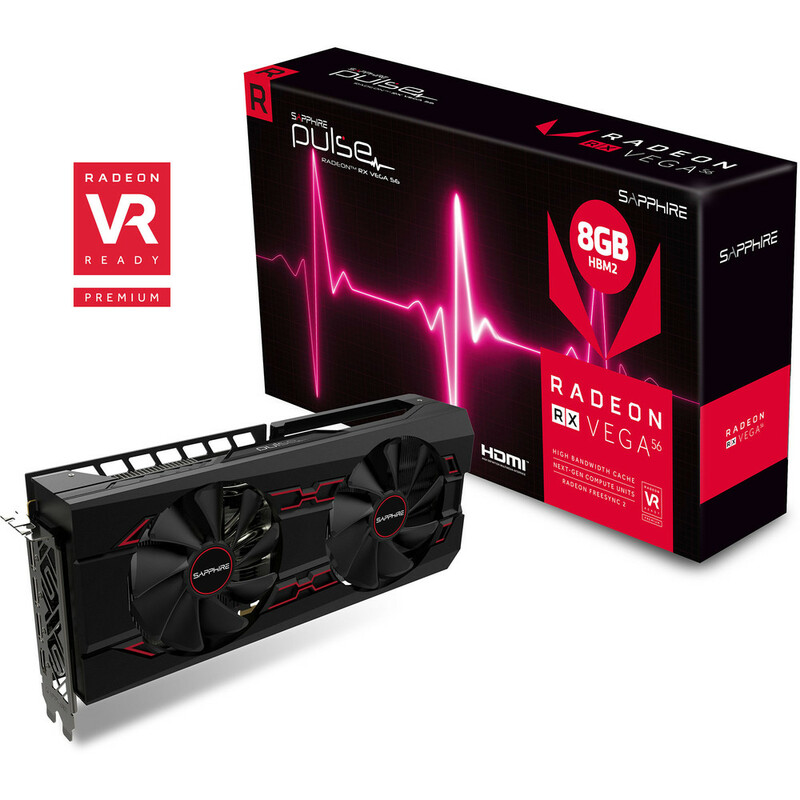 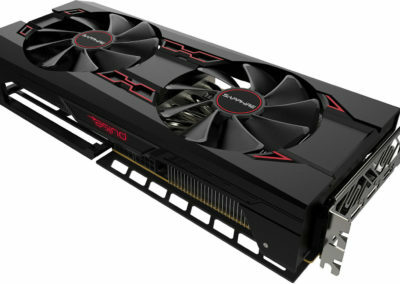 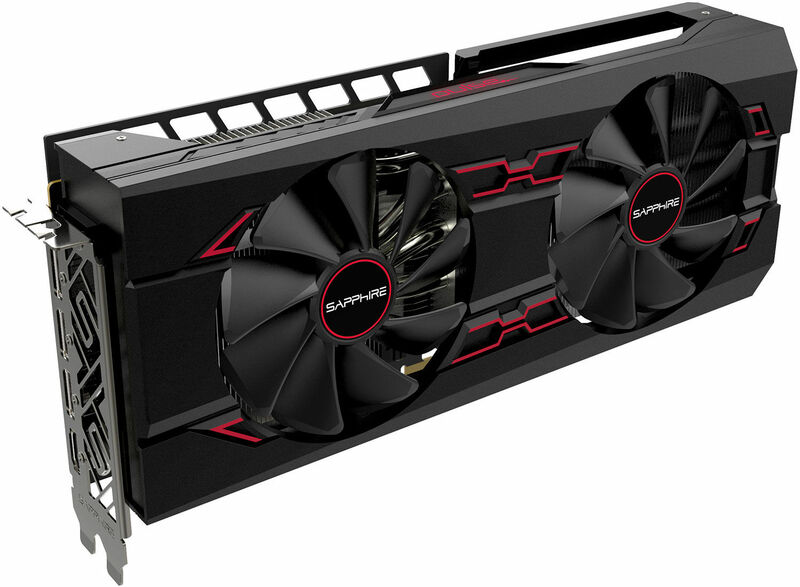 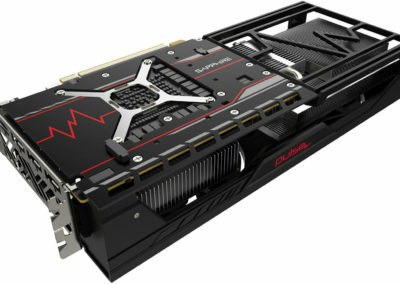 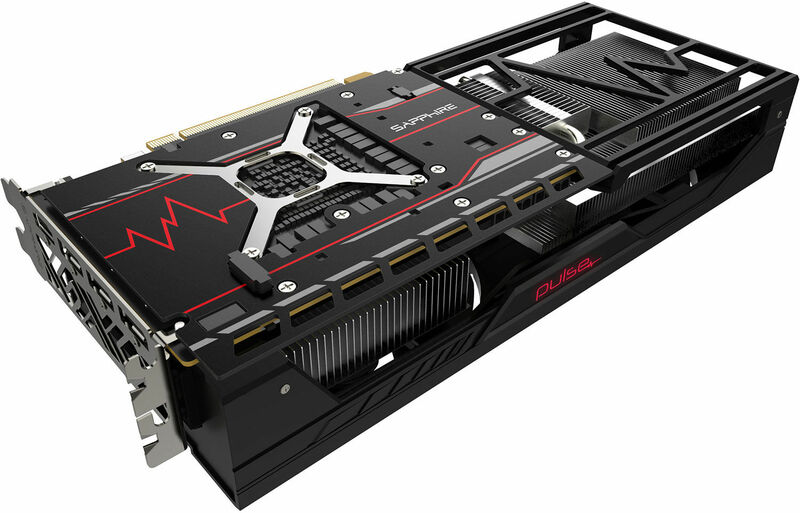 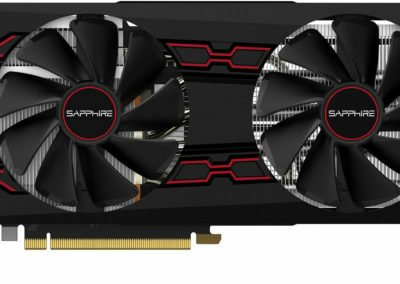 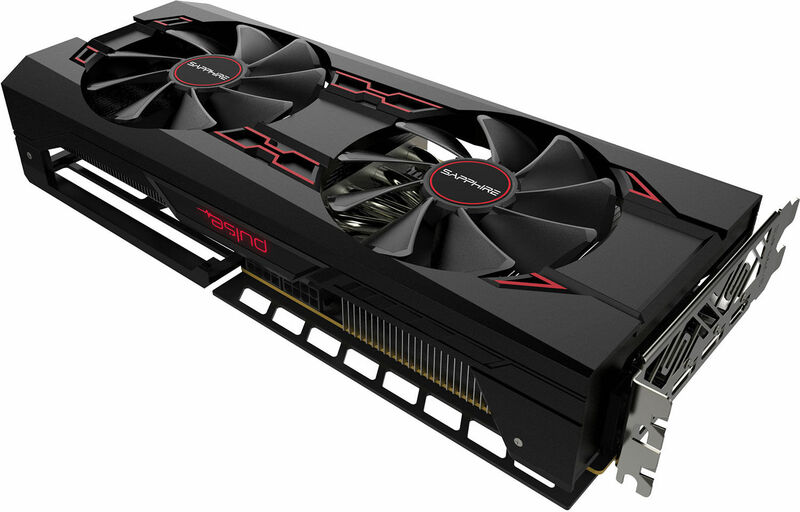 Sapphire 11276-02-40G Radeon Pulse RX Vega 56 8GB HBM2 Dual HDMI/DP (UEFI) PCI-E Graphics Card for $299.99 shipped from Amazon. 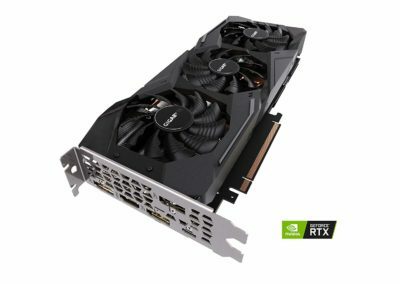 Good price for one of the better Vega 56 cards out there. Nice to see pricing on video cards is finally starting to creep downwards. 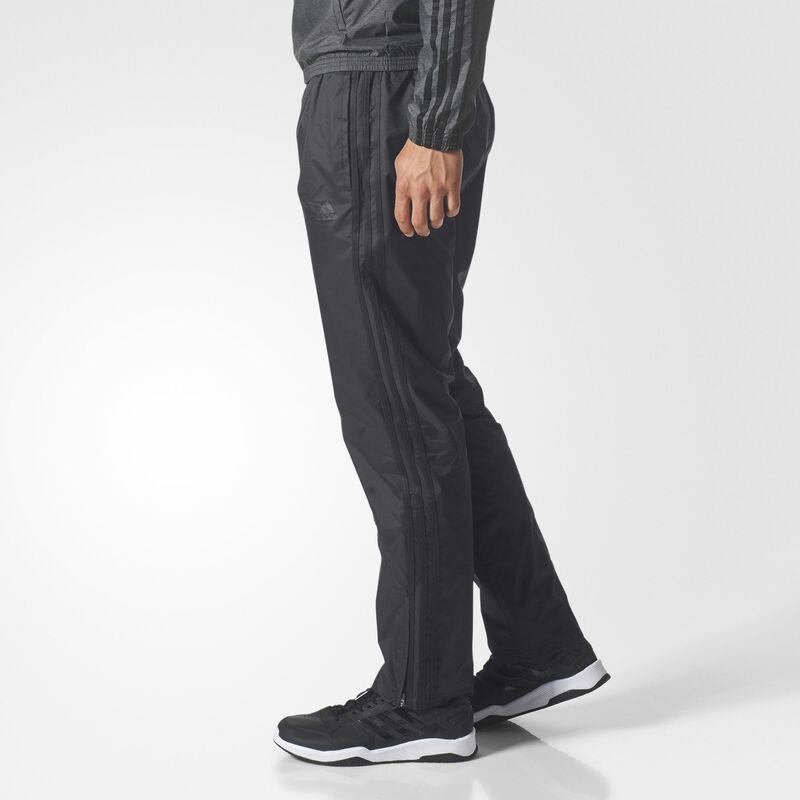 Adidas is having a sale on their shoes and active wear on eBay, with discounts up over 60% on some items. 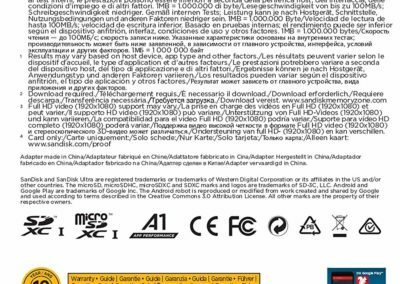 Everything ships for free. 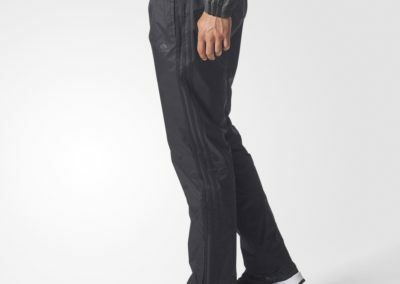 On top of that, they’re offering an extra 30% off when you buy 3 or more items. 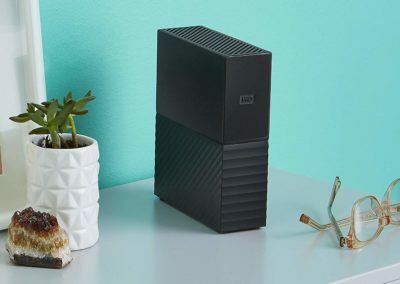 10TB WD EasyStore External USB 3.0 Hard Drive for $159.99 shipped from Best Buy. 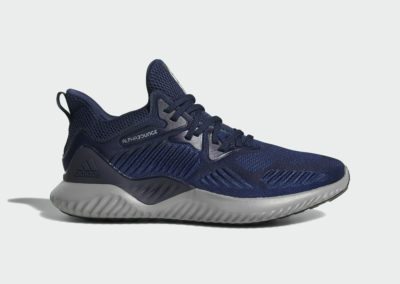 Good today, 4/19/19 Central Time only. 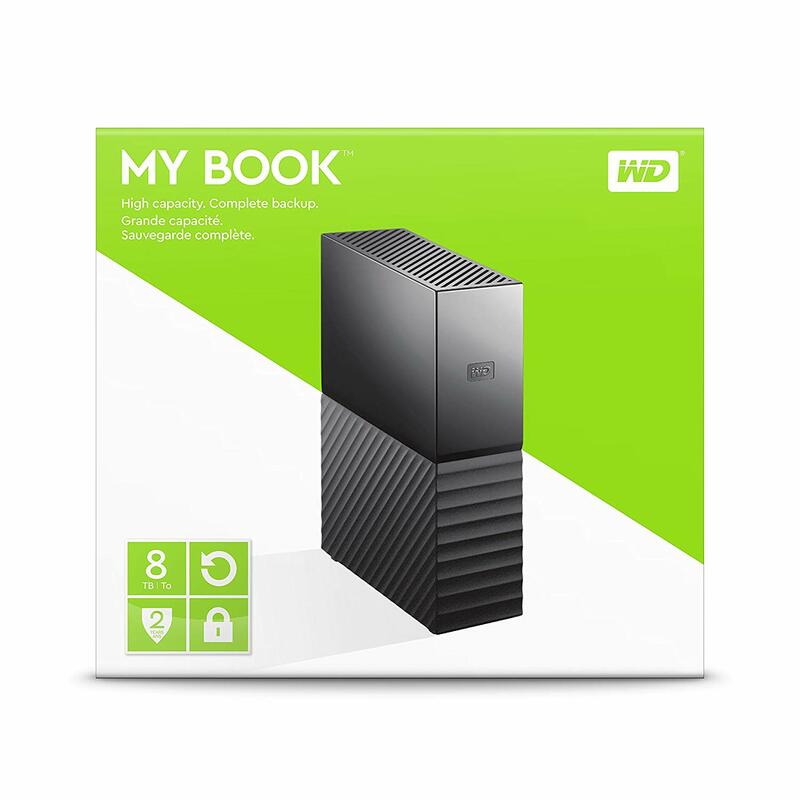 10TB storage capacity: Provides ample space for storing documents, photos, music and more. USB 3.0 interface: Offers an easy-to-use connection to devices. 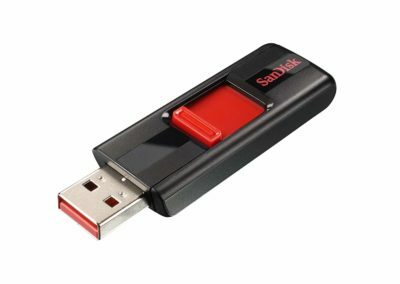 Backward compatible with USB 2.0 for simple connection to your computer. 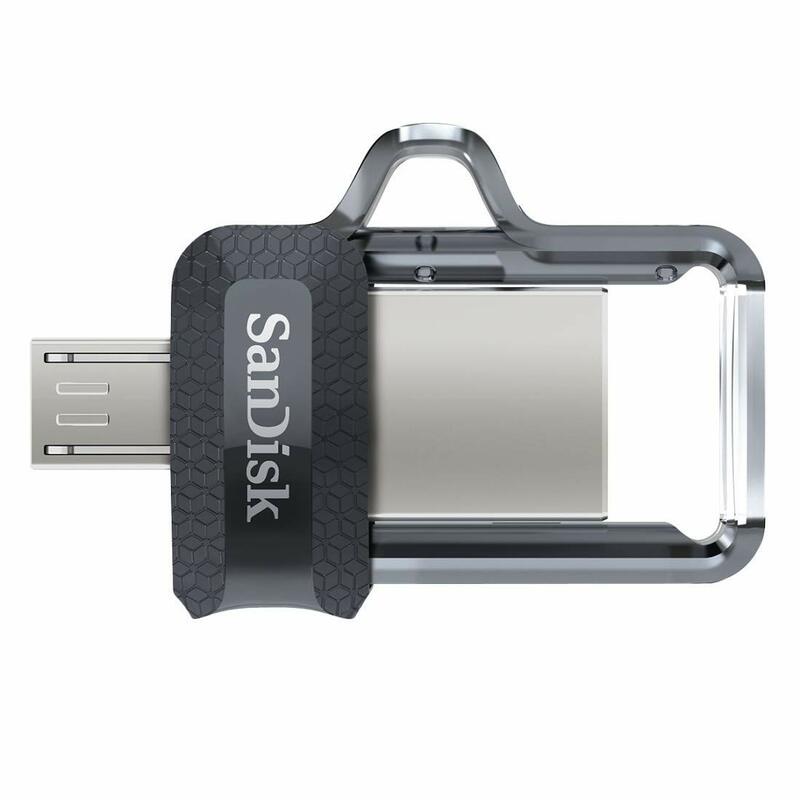 Data transfer rates up to 5 Gbps with USB 3.0: Enable a rapid response when updating files. 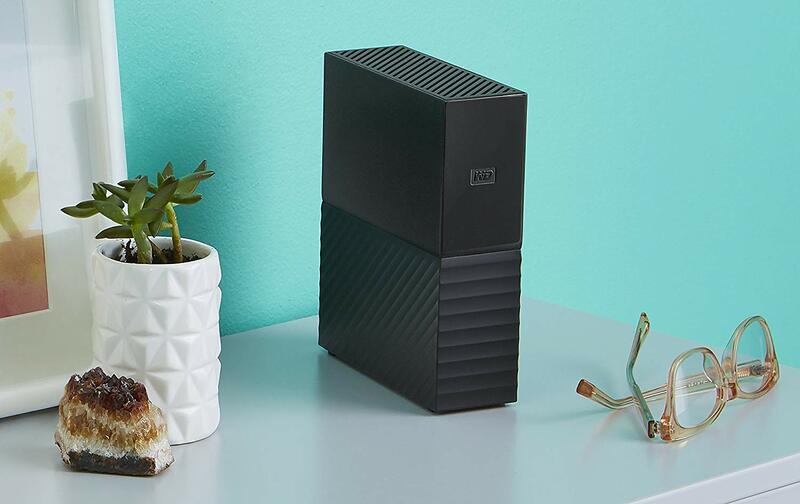 Automatic backup options: Allow you to use compatible software to back up your files to the server. 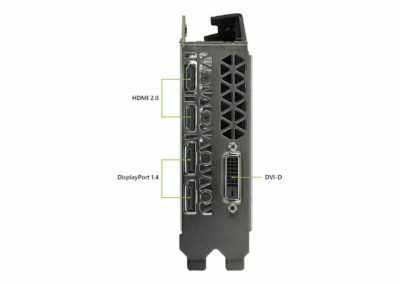 Compatible with Mac and PC: For flexible installation options. 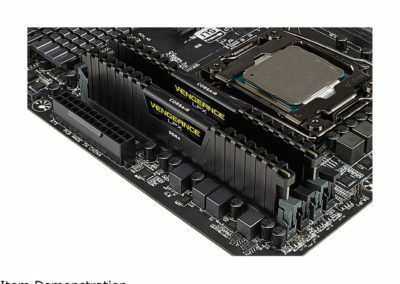 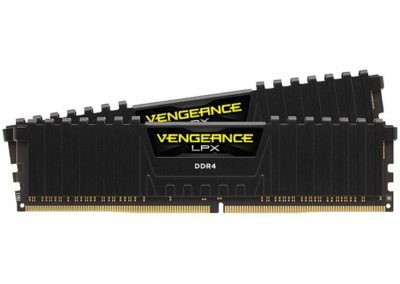 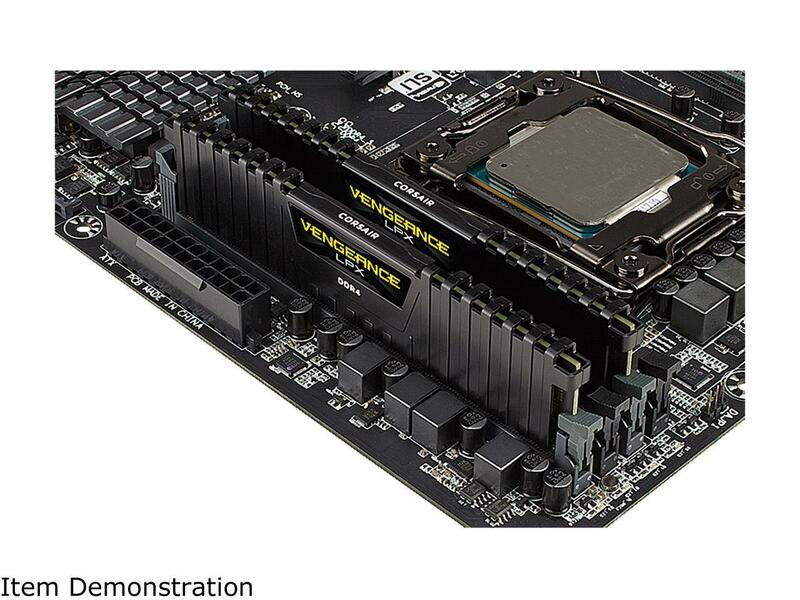 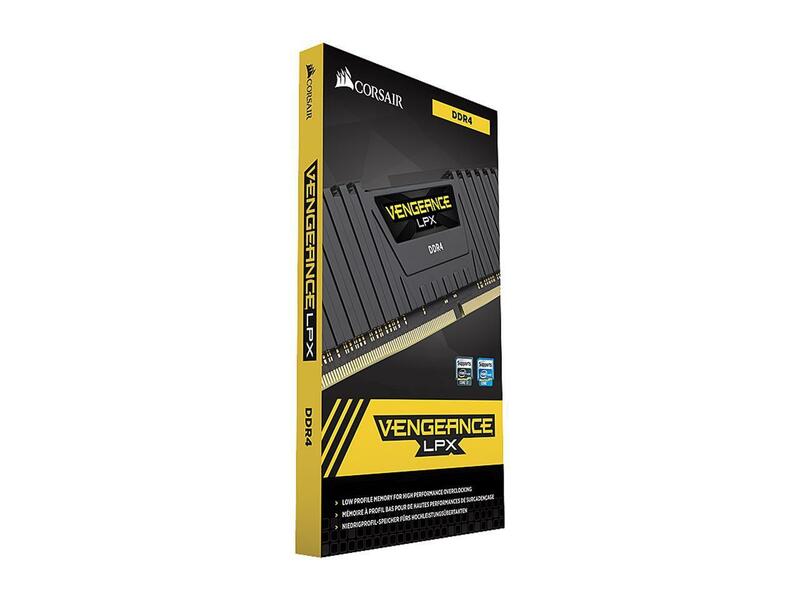 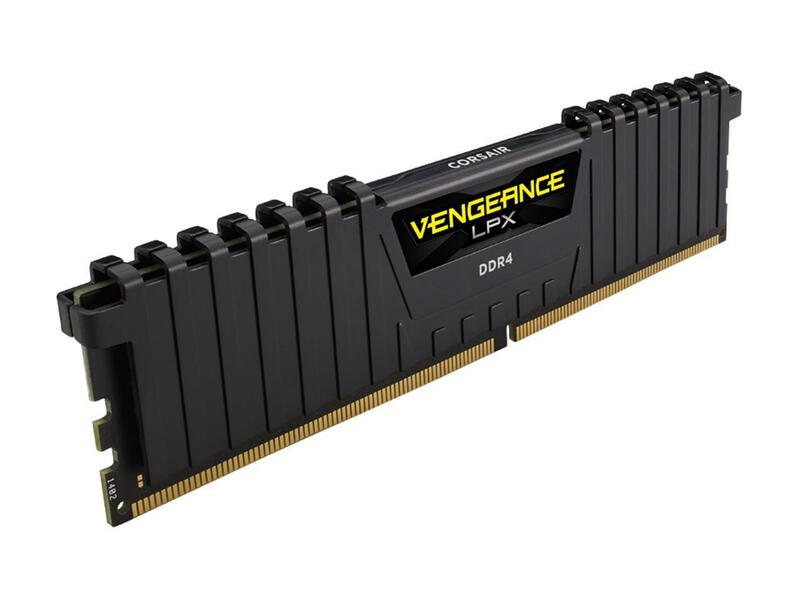 16GB (2 x 8GB) CORSAIR Vengeance LPX CMK16GX4M2D3000C16 288-Pin DDR4 SDRAM DDR4 3000 (PC4 24000) Desktop Memory for $78.99 shipped from Newegg. 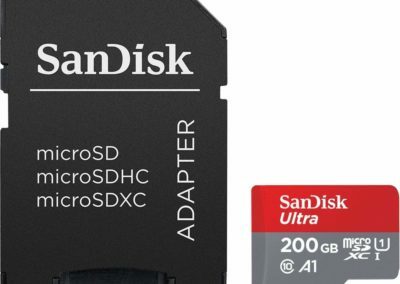 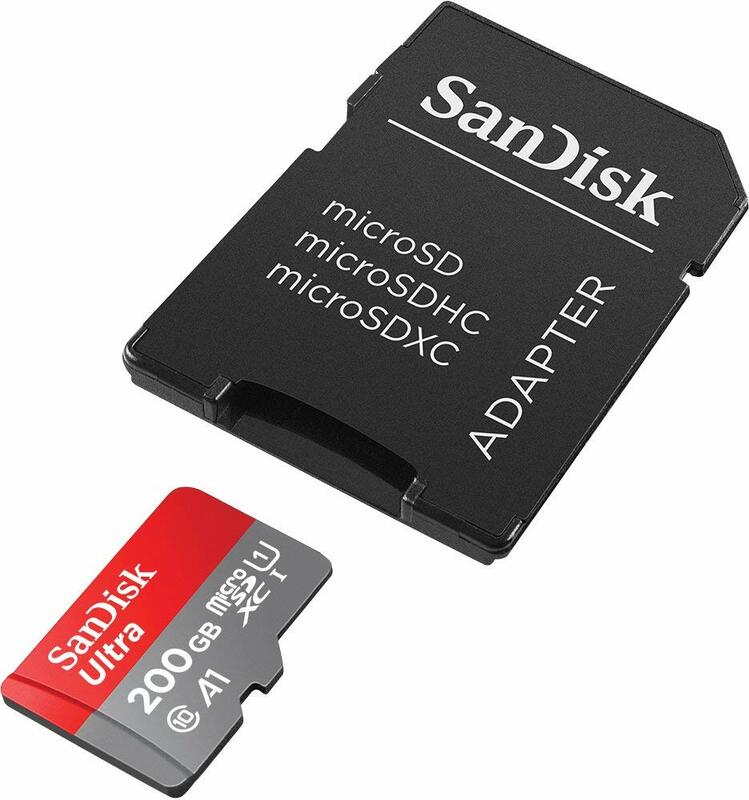 Amazon has the 200GB SanDisk Ultra microSDXC card with full sized adapter for just $25, with Prime shipping. 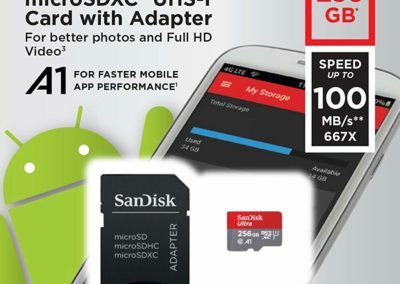 That’s just $5 more than the 128GB version. 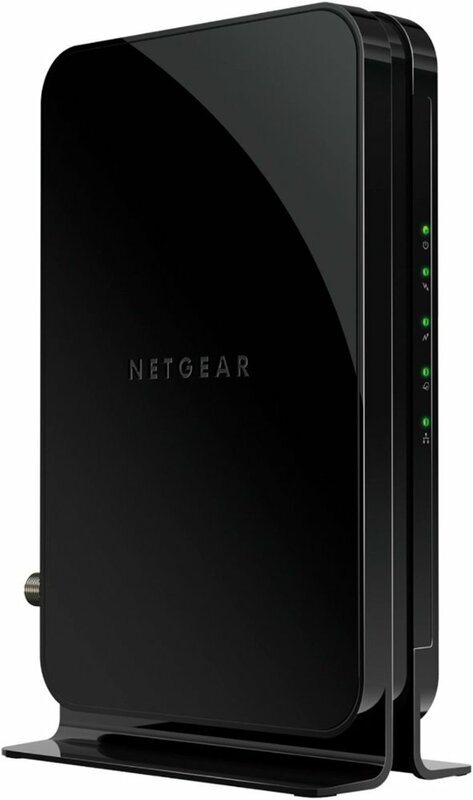 It’s good for up to 100MBps sequential read speeds and carries a UHS Speed Class U1 for full HD video recording and playback. 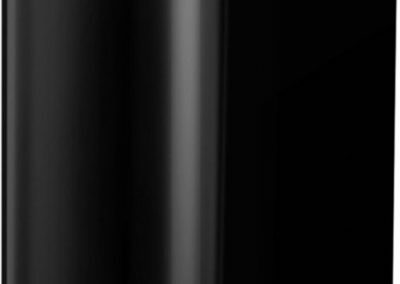 Unknown expiration date, may end at any time. 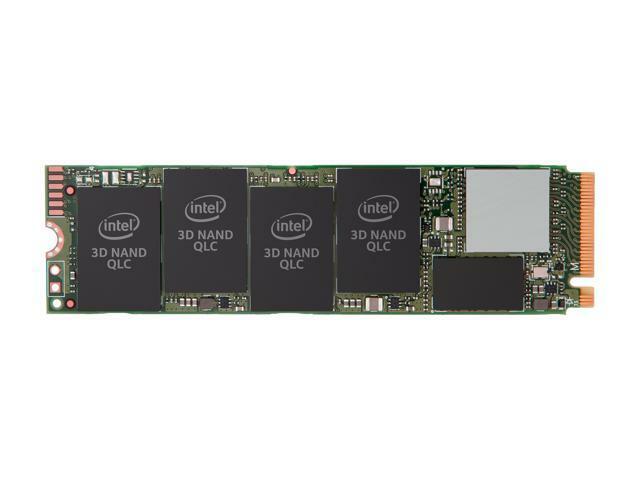 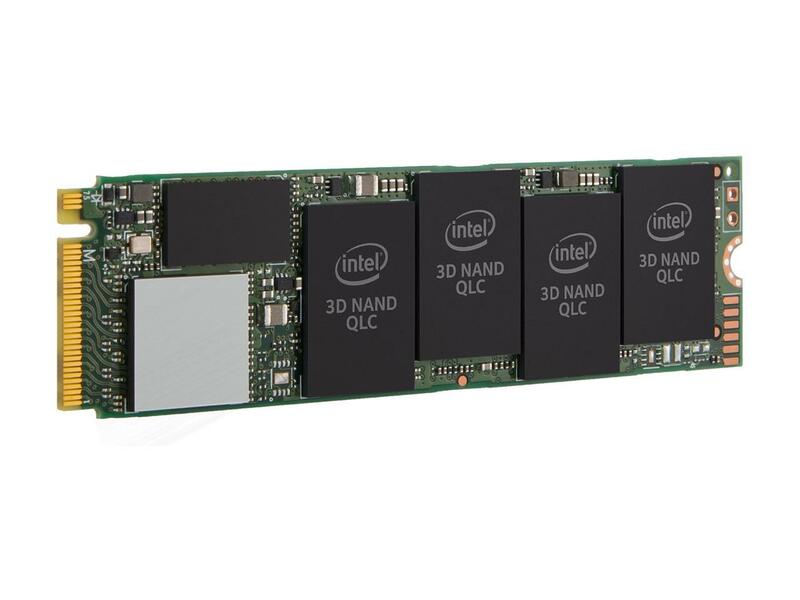 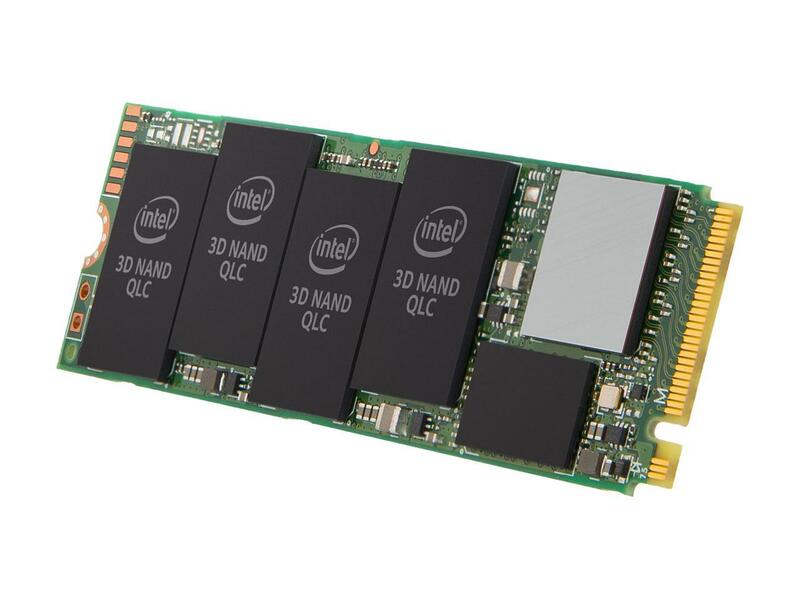 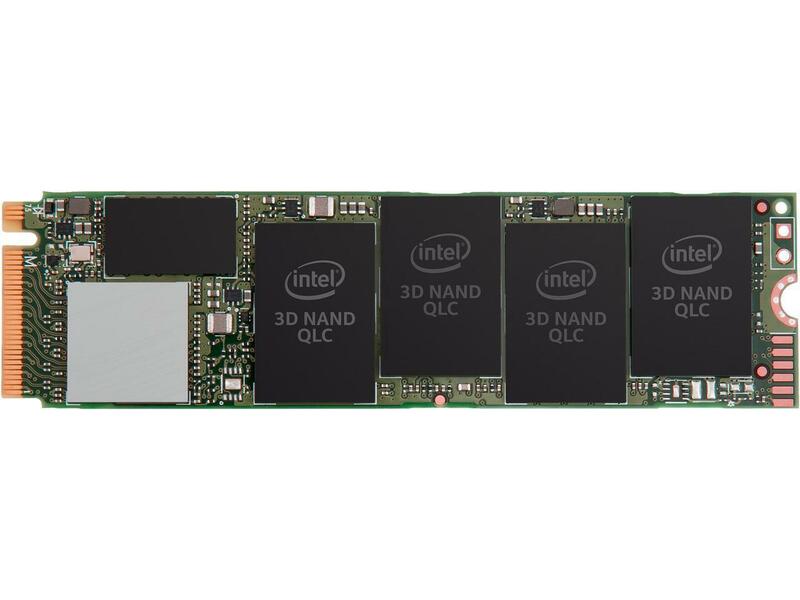 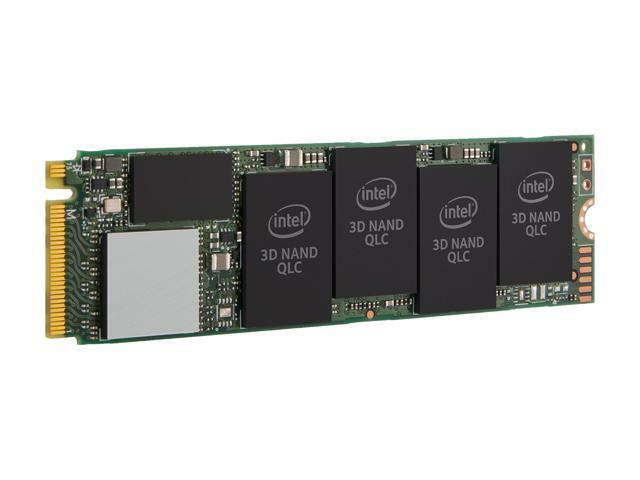 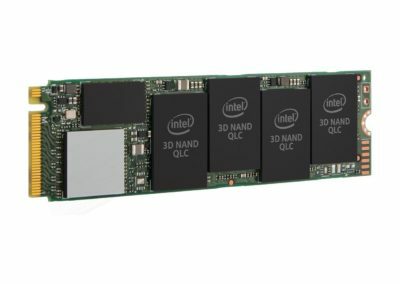 2TB Intel 660p Series SSDPEKNW020T8X1 M.2 2280 2TB PCI-Express 3.0 x4 3D NAND Internal Solid State Drive (SSD) for $189.99 shipped from Newegg. 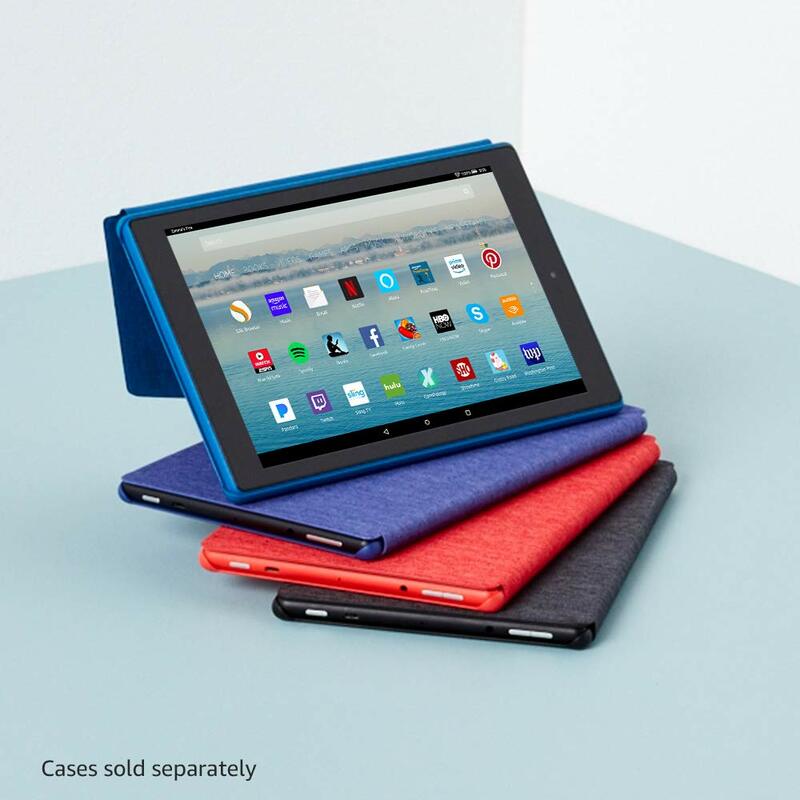 In your cart, log in, then use promo code: EMCTYUC22 for the discount. 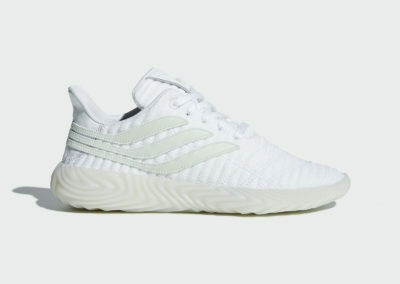 Limit 3 per customer. 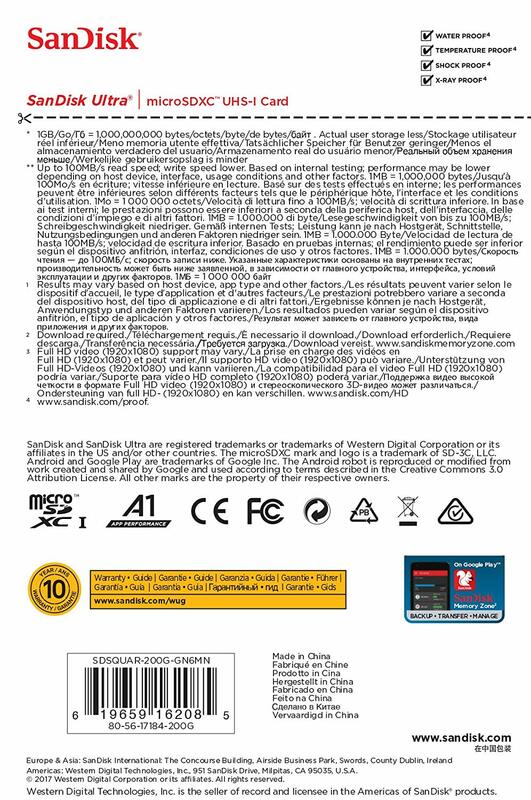 Expires tonight, 4/18/19. 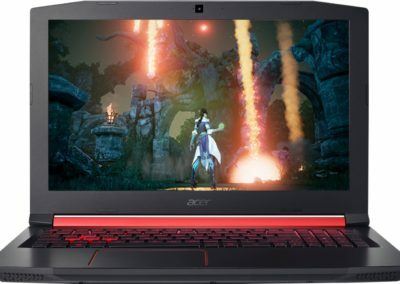 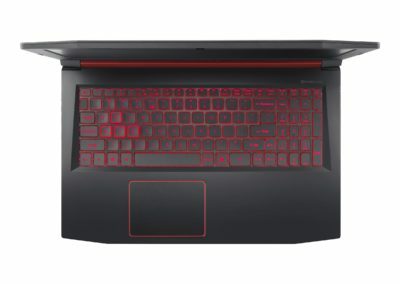 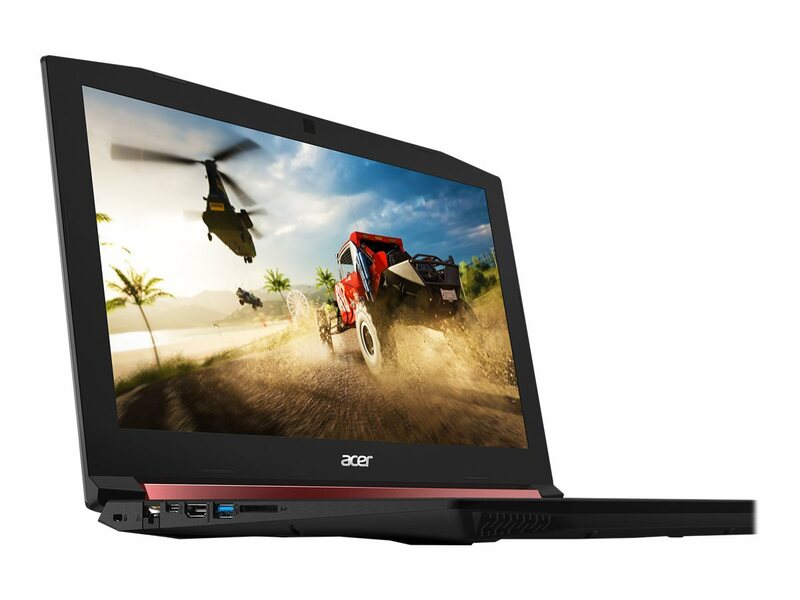 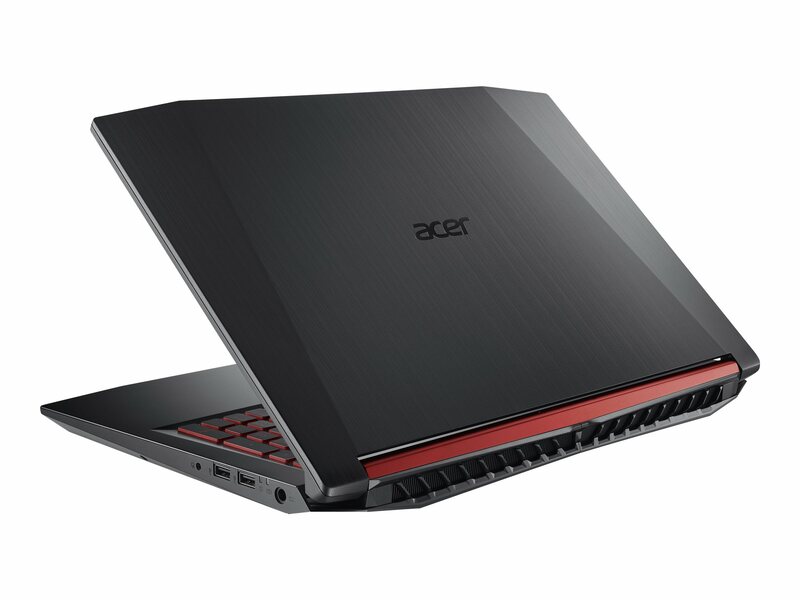 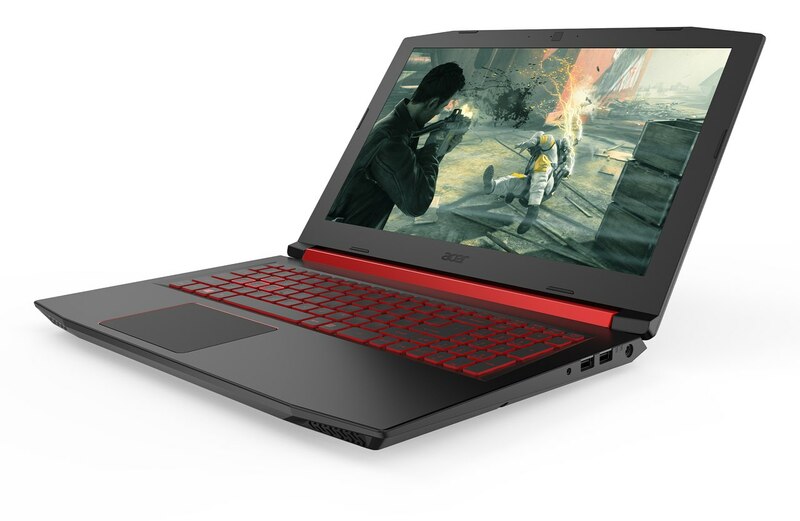 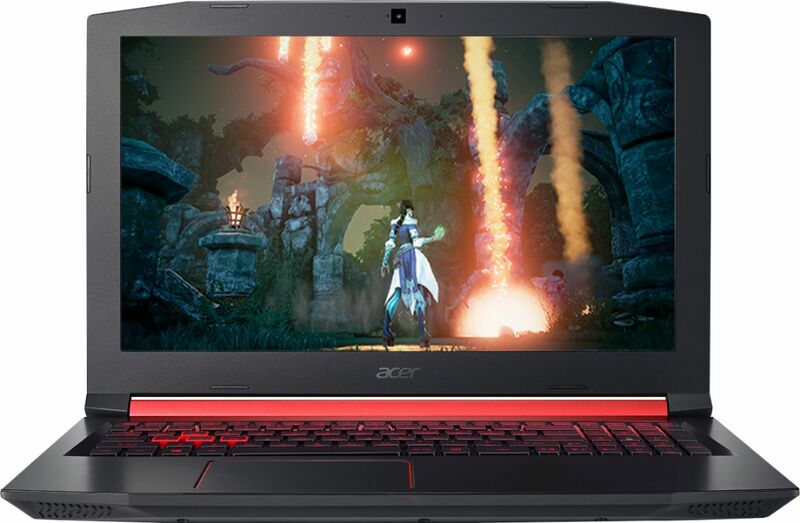 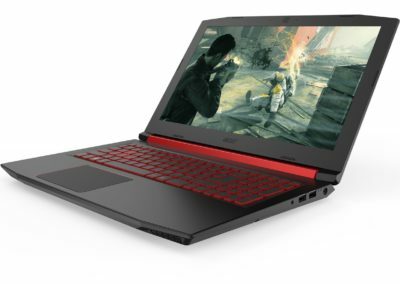 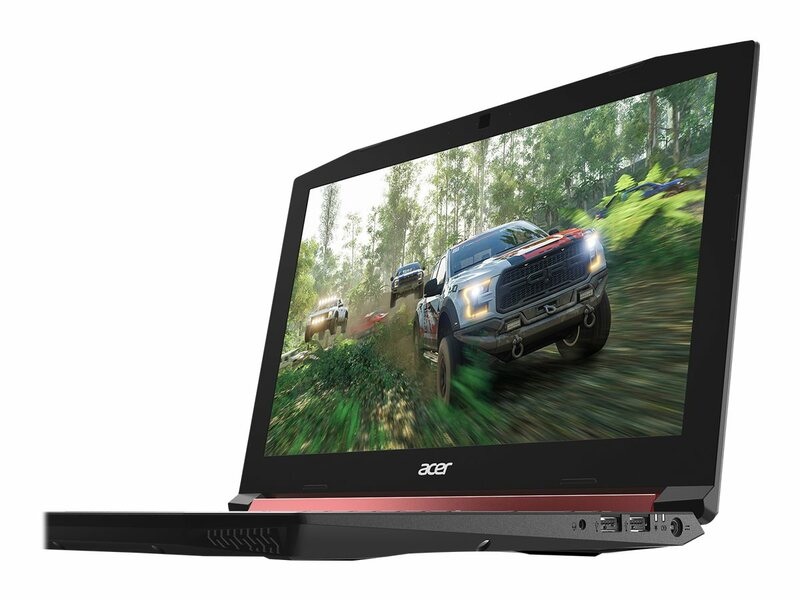 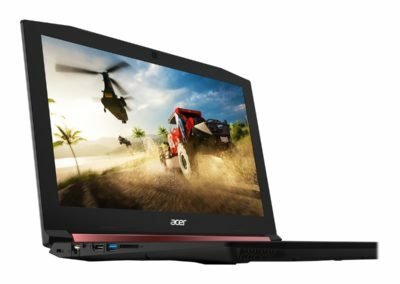 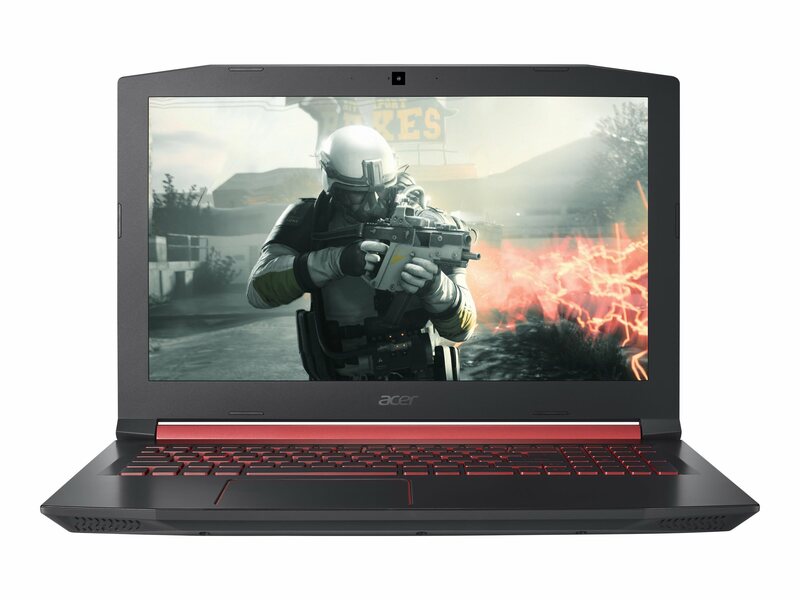 15.6″ 1080p Acer Nitro 5 AN515-42-R5ED Gaming Laptop with AMD Ryzen 5-2500U, AMD Radeon RX 560X discrete graphics, 8GB Memory, and 1TB Hard Drive for $529.99 shipped from Best Buy. 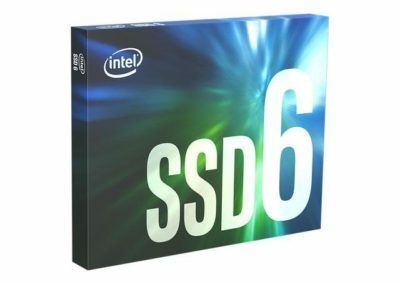 List: $669.99. 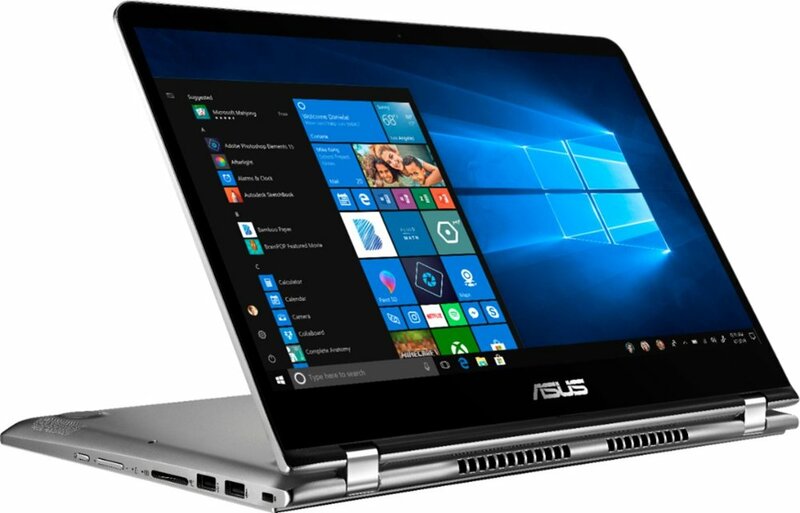 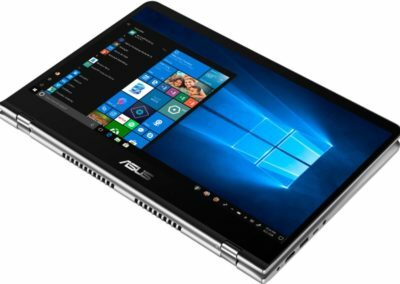 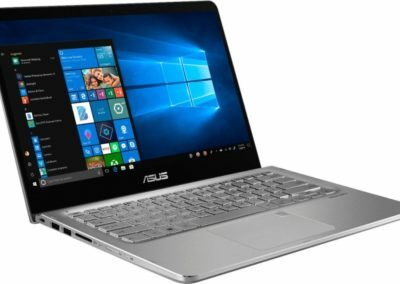 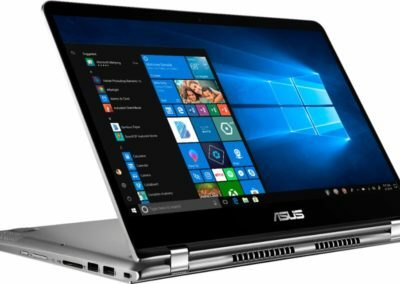 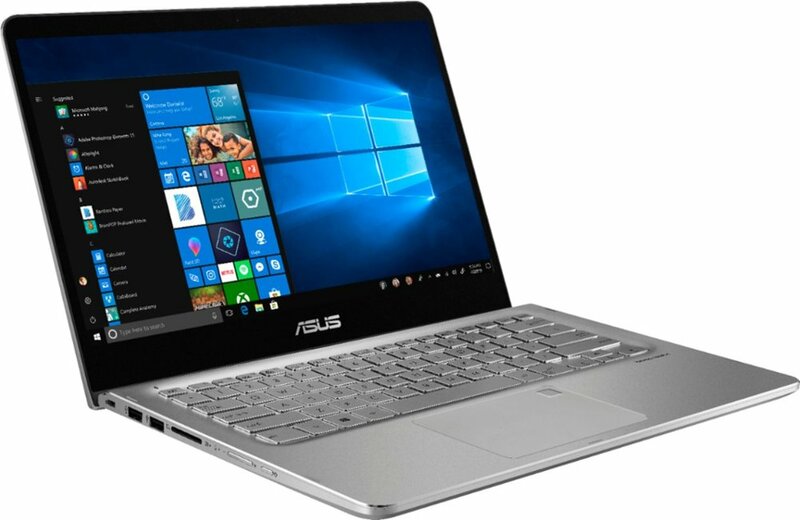 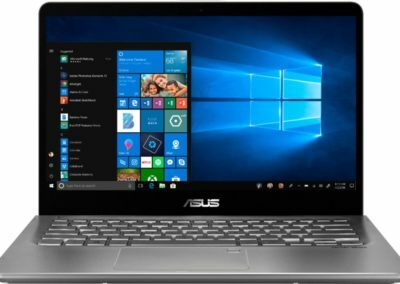 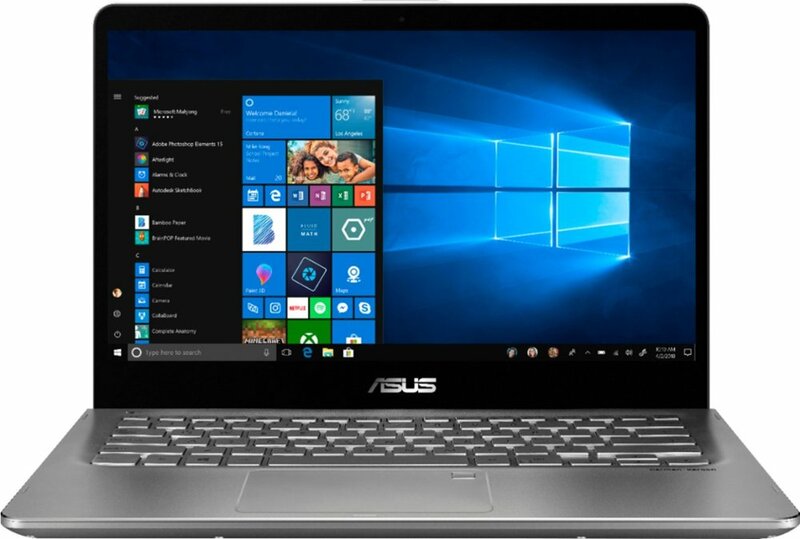 Touchscreen 14″ Asus Q405UA-BI5T7 2-in-1 Laptop with 8th gen Intel Core i5, 8GB Memory, 128GB SSD for $499.99 shipped from Best Buy. 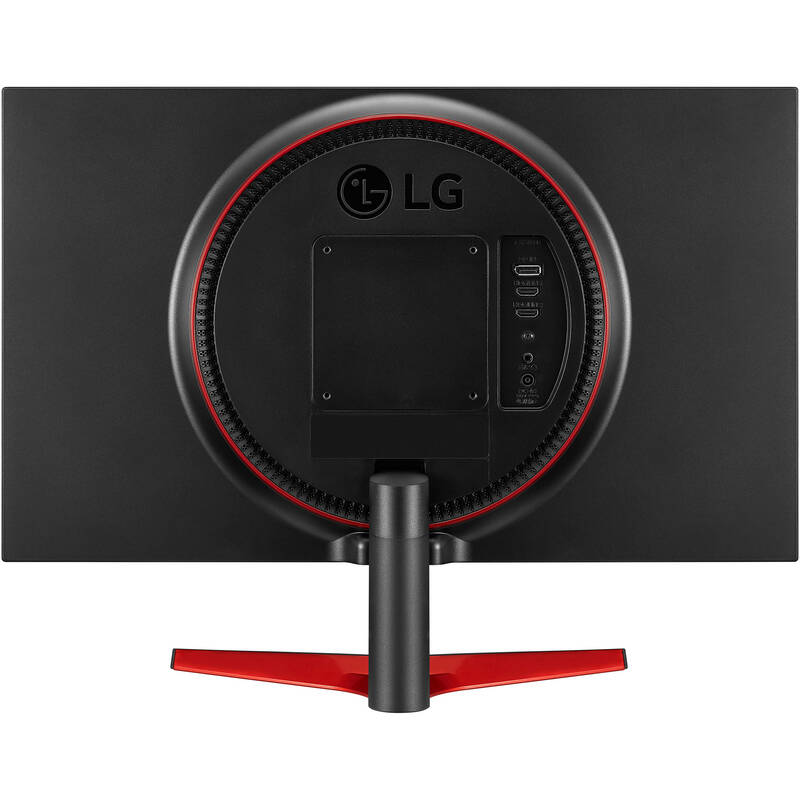 List: $749.99. 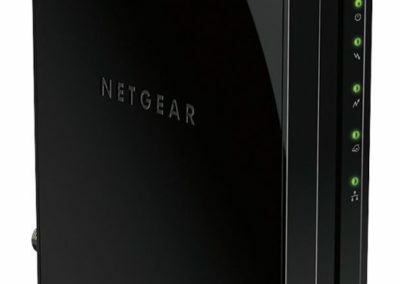 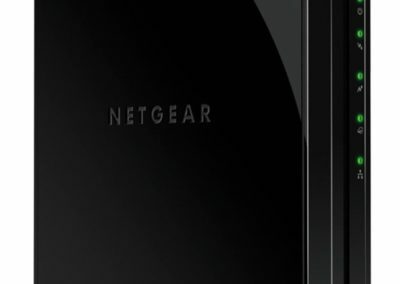 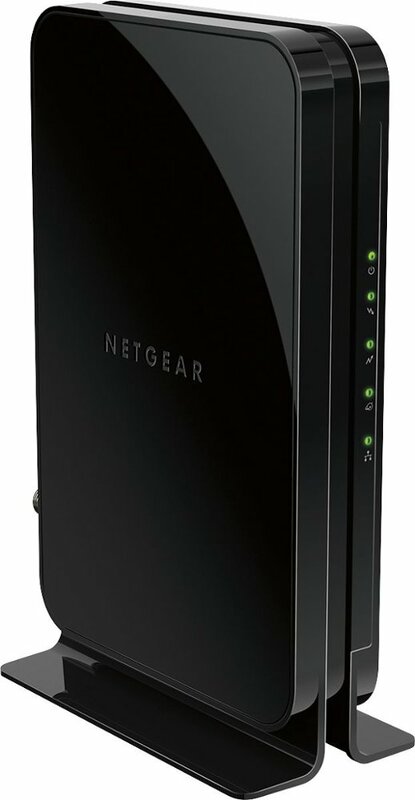 Walmart has this Netgear Certified Refurbished Docsis 3.0 cable modem for $29.99. 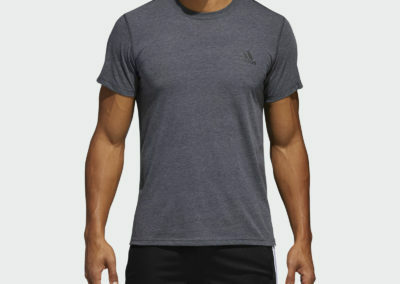 Order online for local pickup or get free shipping with a $35+ purchase. 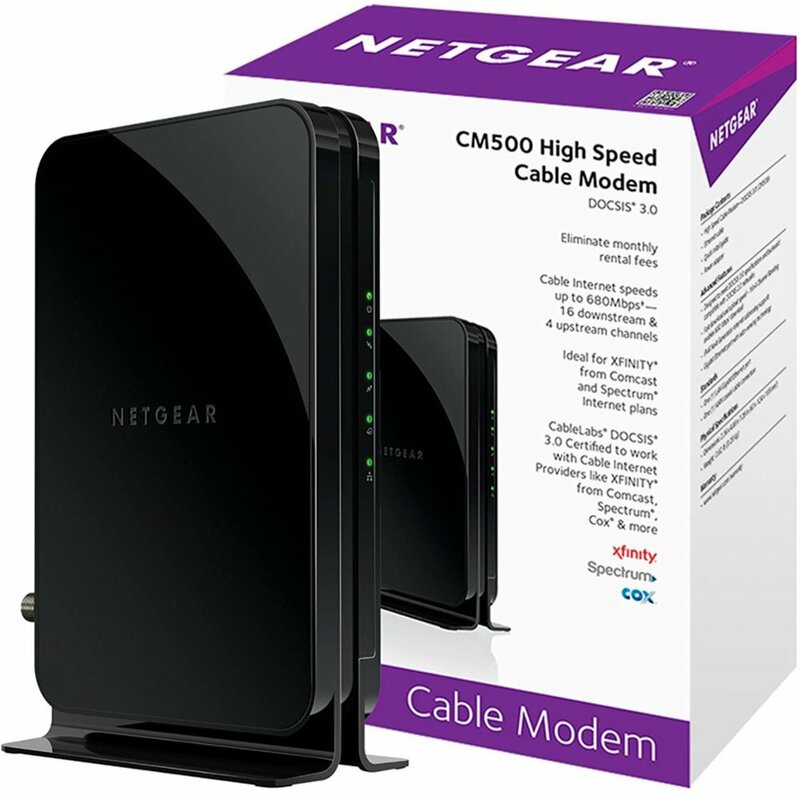 With up to 16×4, this cable modem is capable of up to 680Mbps downloads and up to 132Mbps uploads. 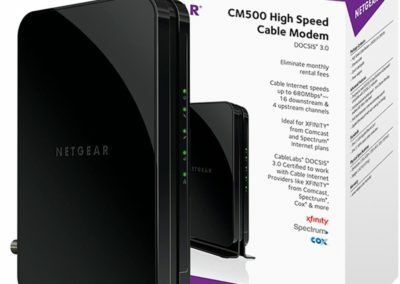 It works with companies like Comcast XFINITY, Spectrum, Cox, Cablevision, and more. Unknown end date, may run out of stock or change price at any time. 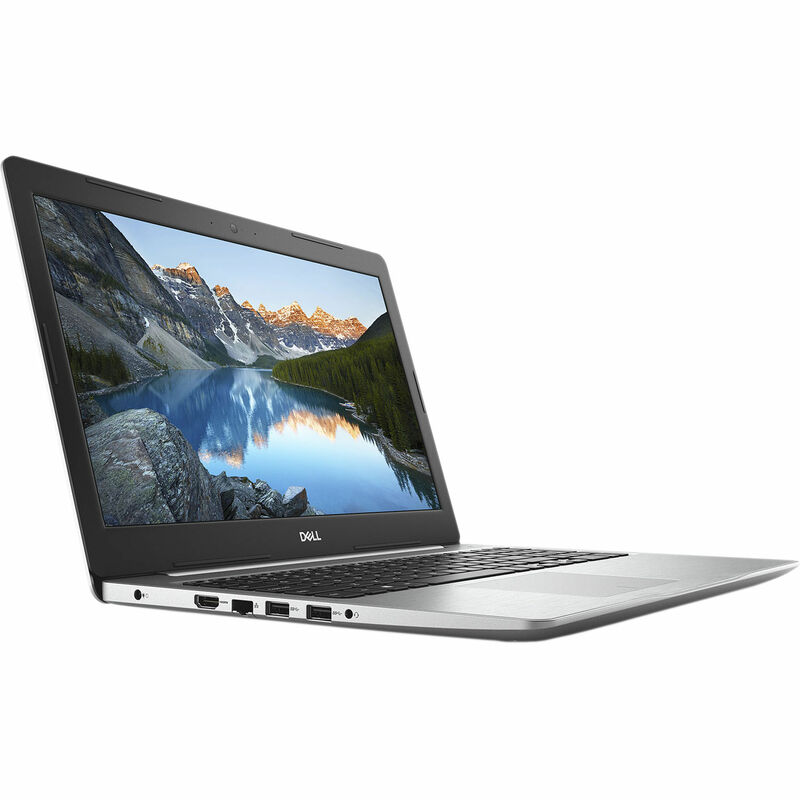 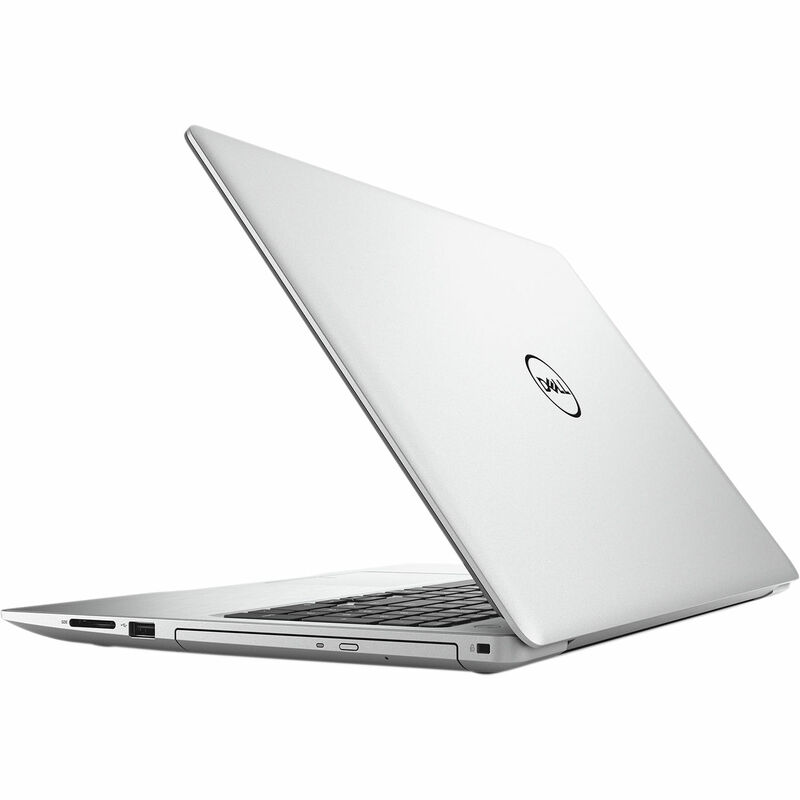 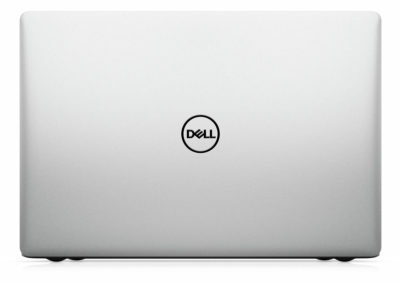 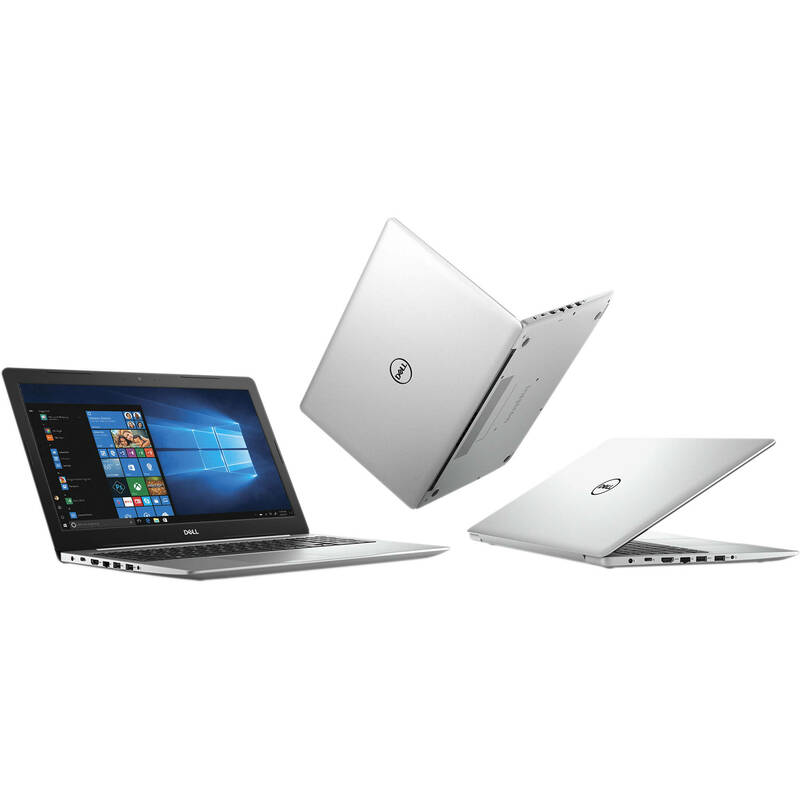 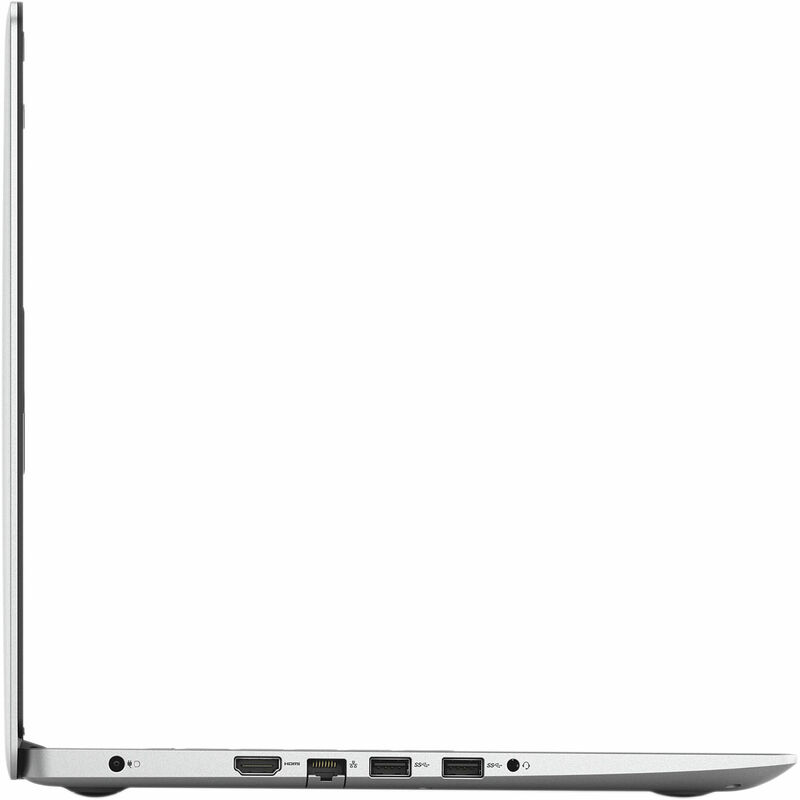 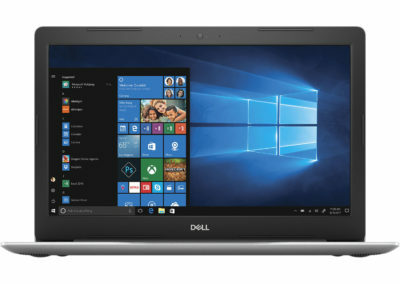 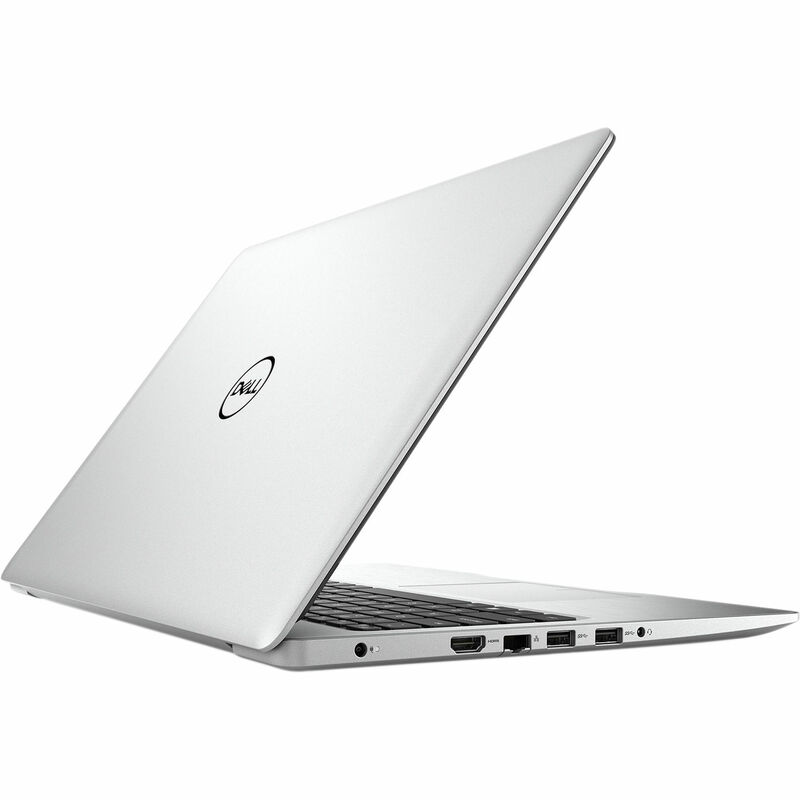 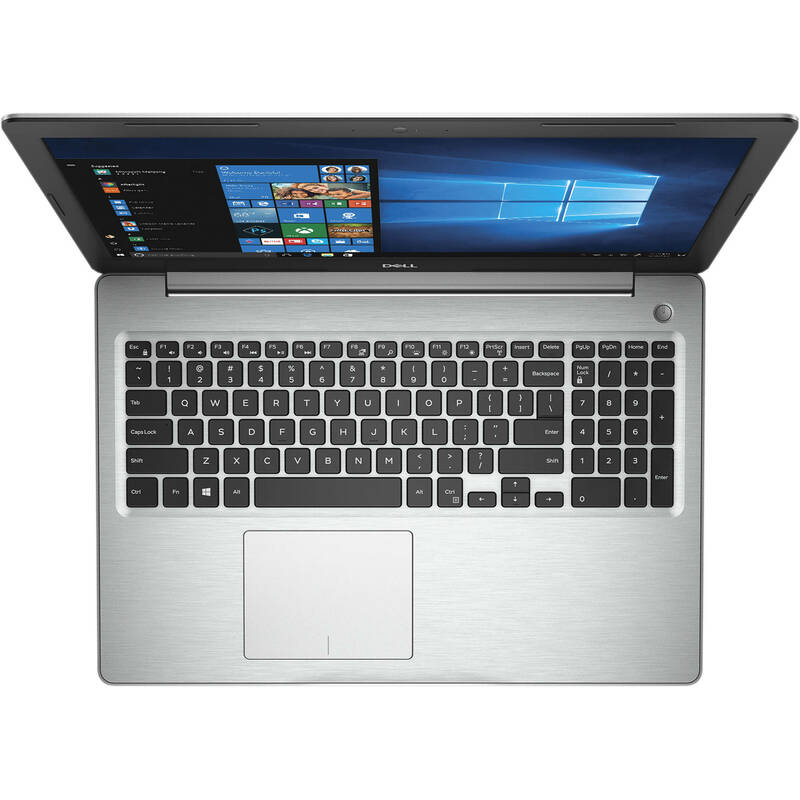 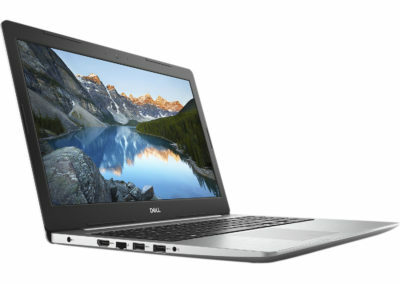 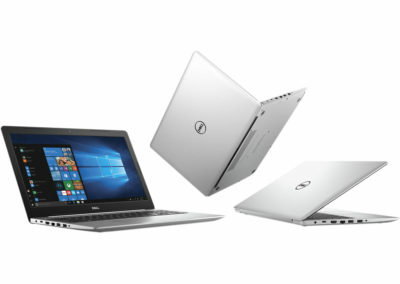 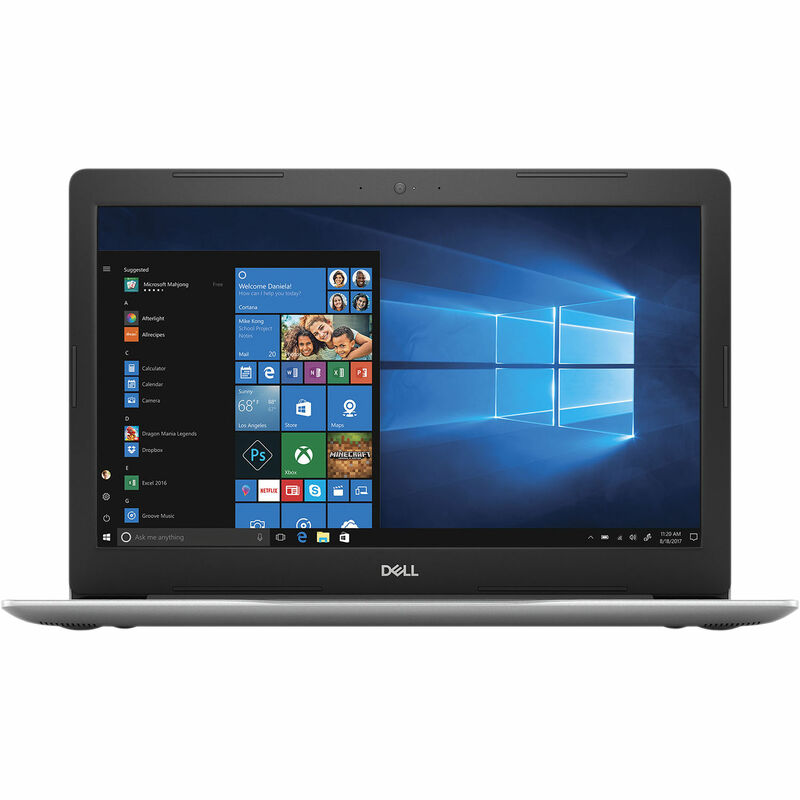 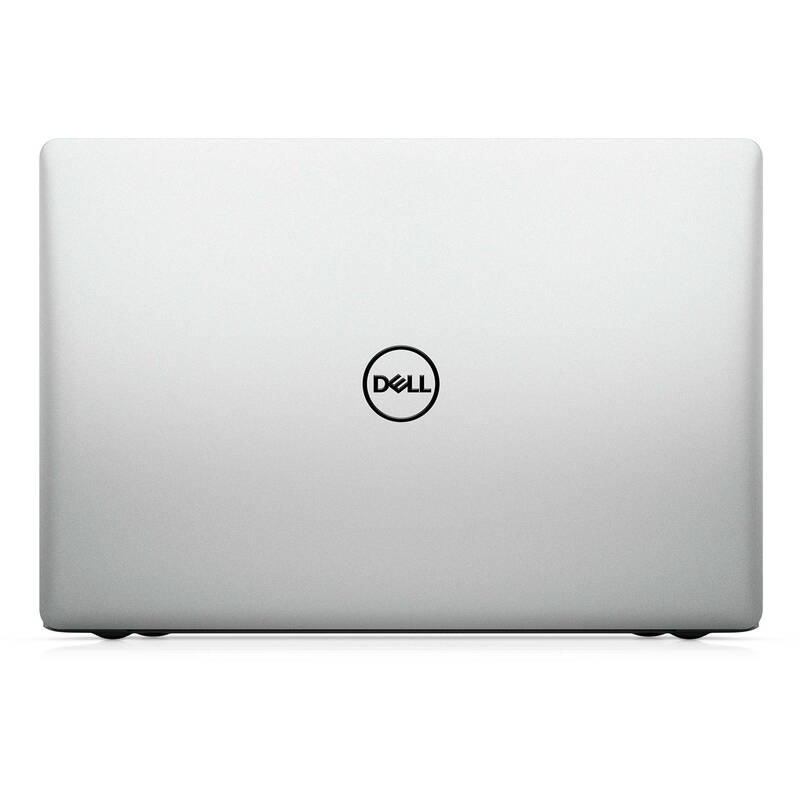 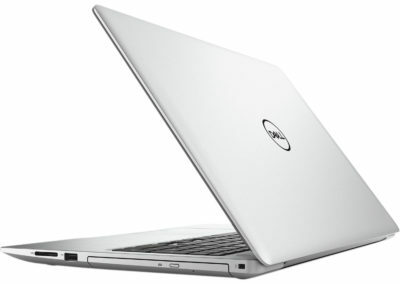 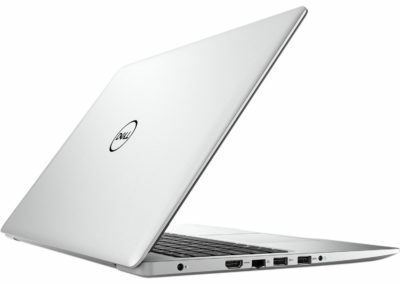 Touchscreen 15.6″ Dell Inspiron 15 5570 Laptop with 8th gen Intel Core i7-8550U, 12GB Memory, 1TB HD, DVD Burner, refurbished, for $460.24 shipped from Dell Home Outlet. 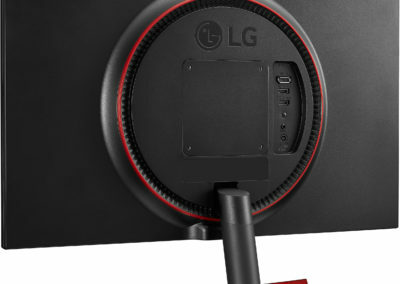 Includes a full 1 year warranty. 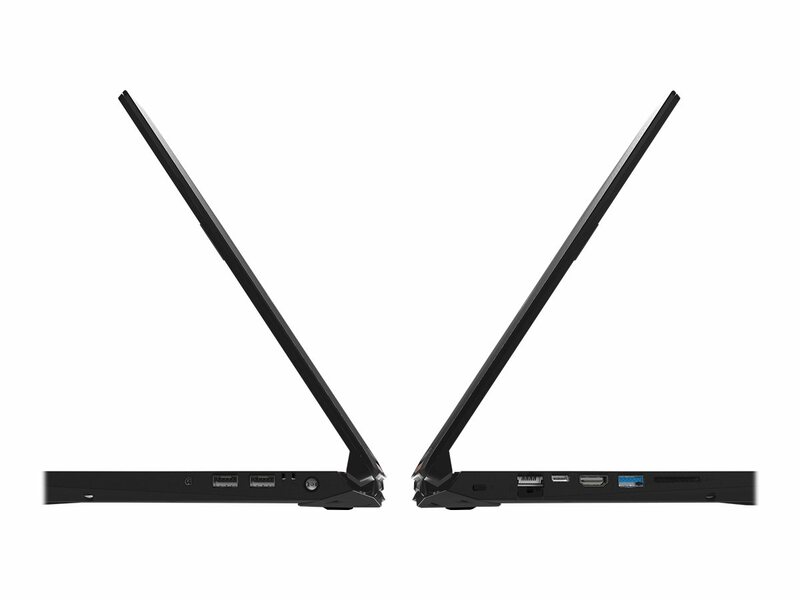 Find the one you want. 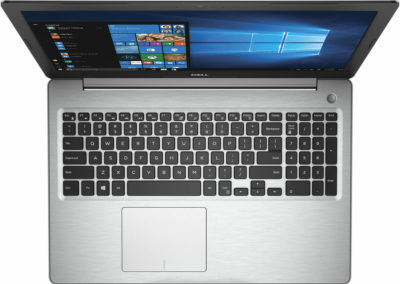 We’d suggest an 8th Gen Intel Core i7 (or i5), and touchscreen. 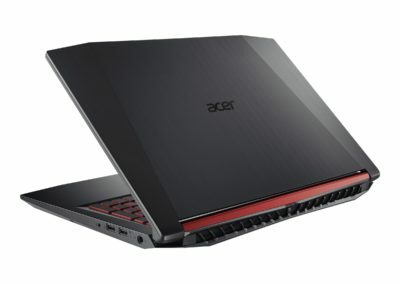 You’ll see a price of $523 or so (from an original $747). Use coupon code: SAVE12%NOW for the discount. 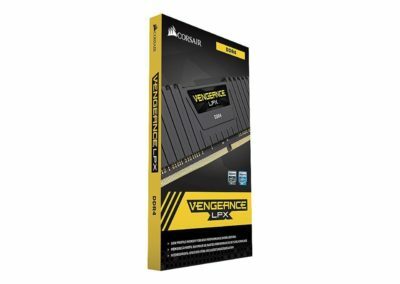 Ends 4/22/19. 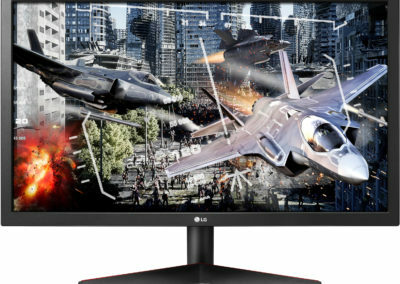 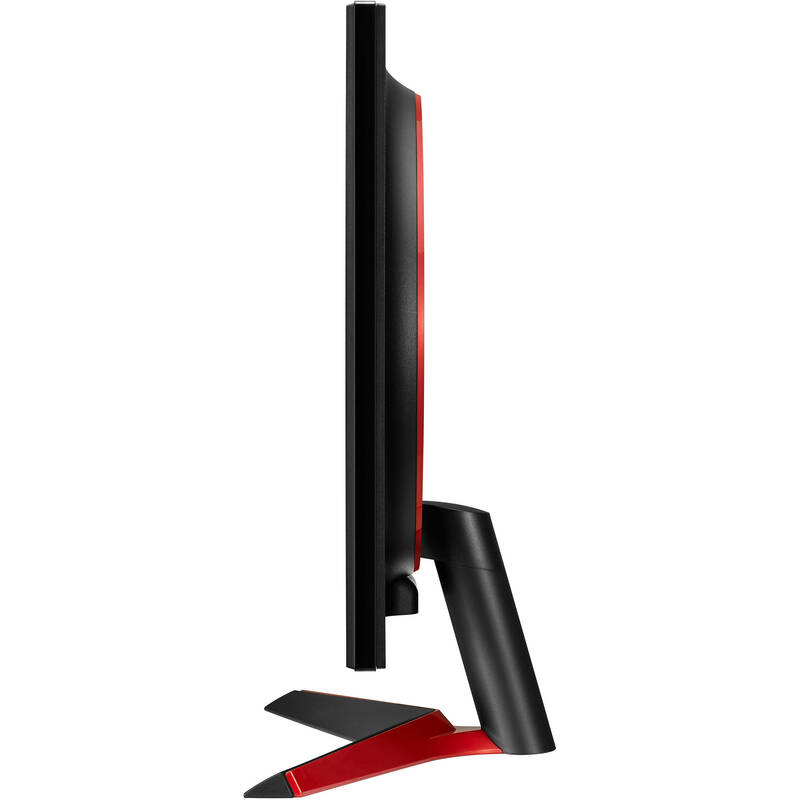 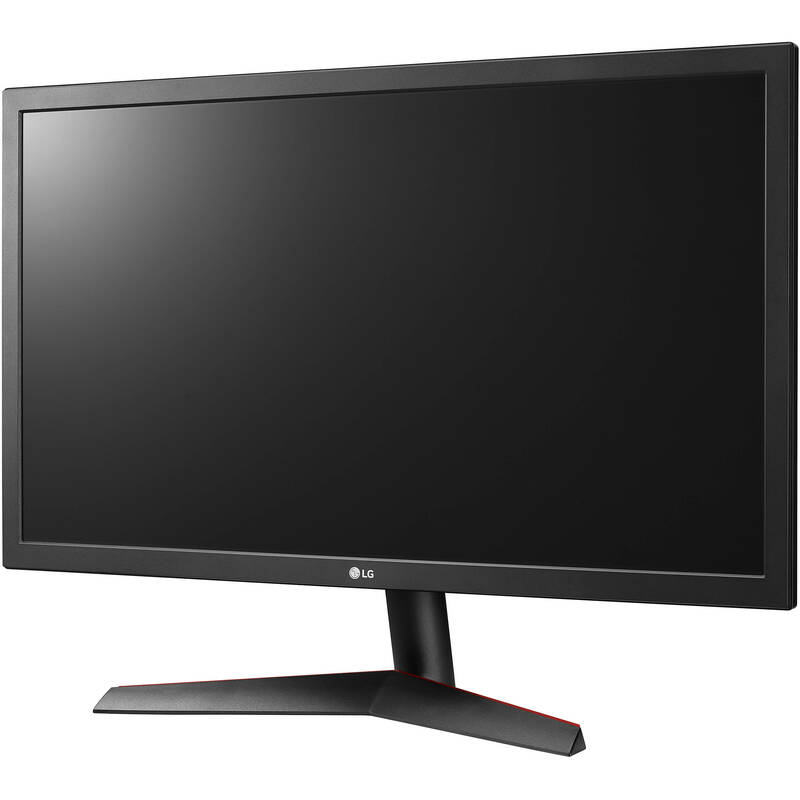 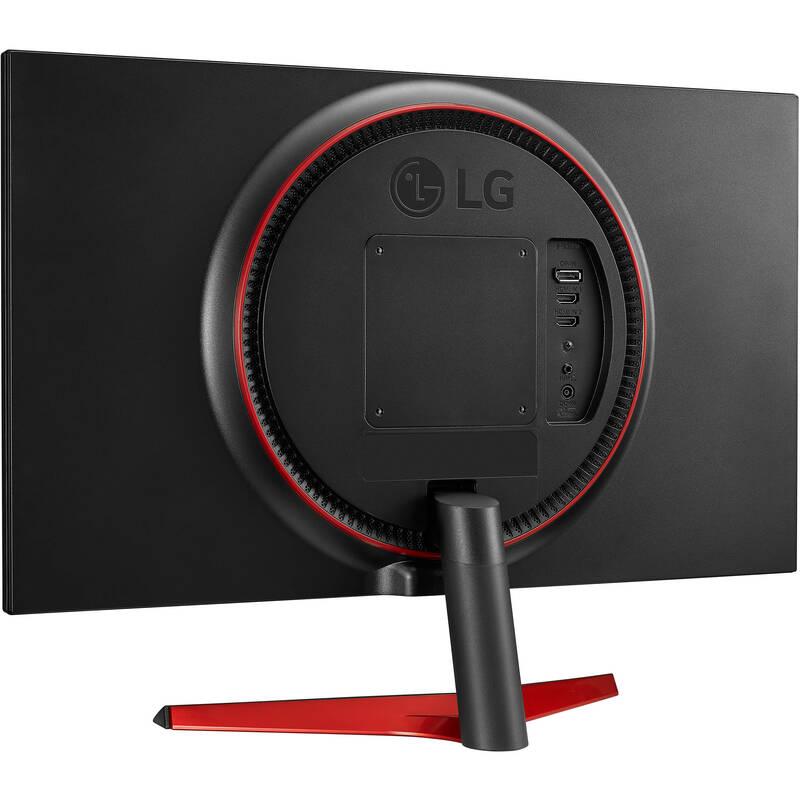 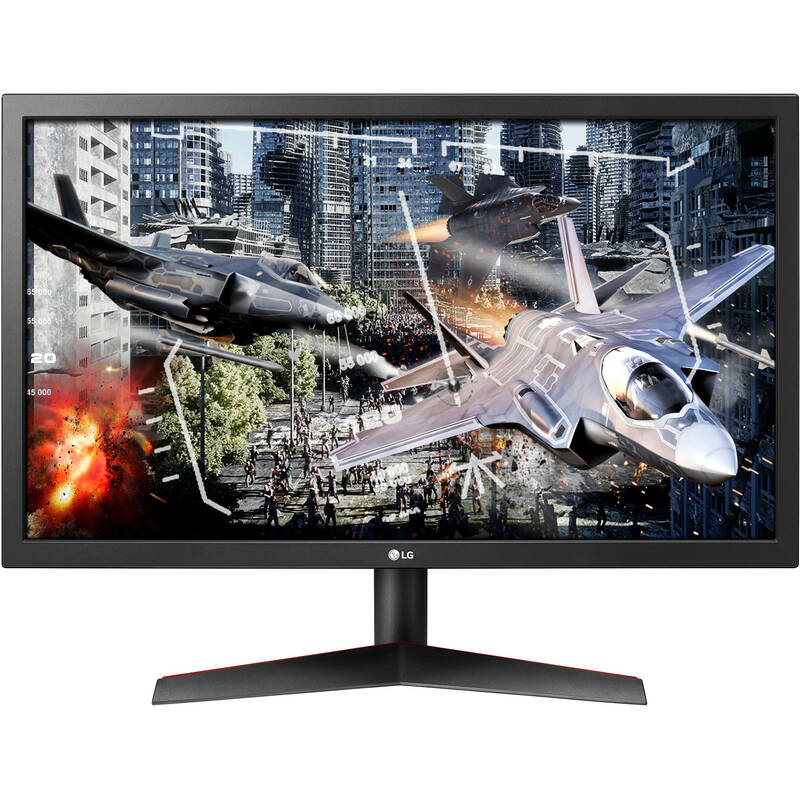 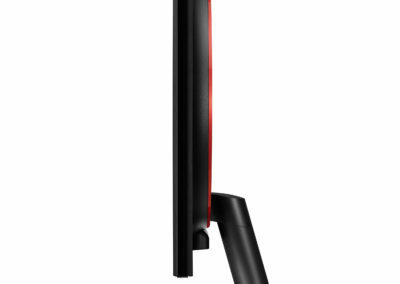 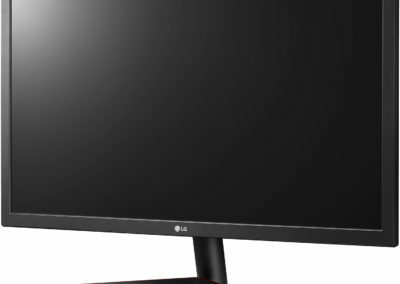 24″ LG Ultragear 24GL600F-B 1080p Gaming Monitor with Radeon FreeSync, 144Hz refresh, 1ms response for $149 shipped from BuyDig. 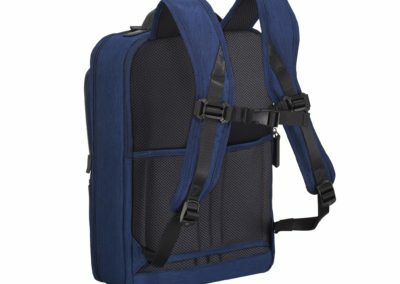 In your cart, click on the “Have a promo code?” link at the upper right, then use coupon code: GEAR for the discount. 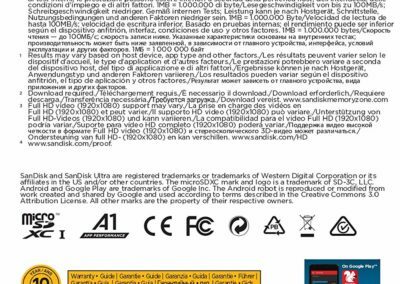 Unknown expiration date, may end at any time. 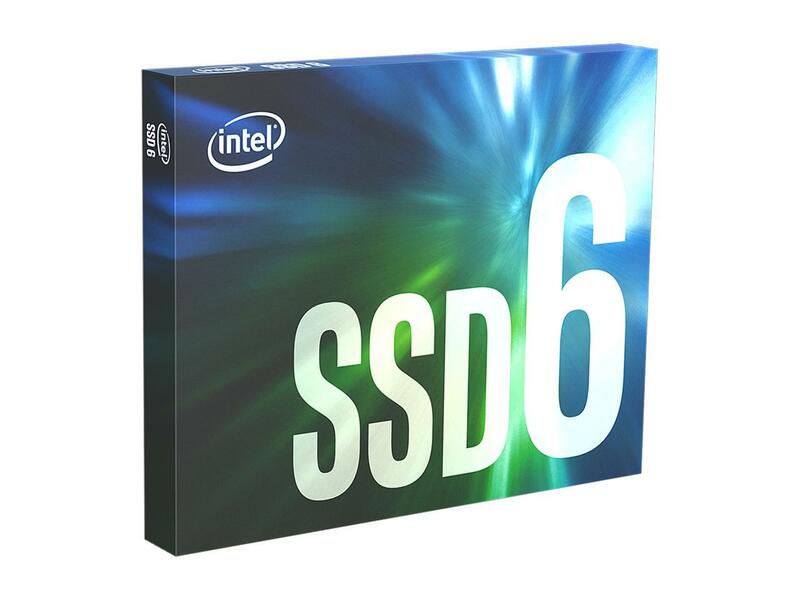 Newegg Flash has this 1TB Intel 660p series solid state drive (SSD) with up to 1800 MBps sequential read and writes for $101.99 shipped. 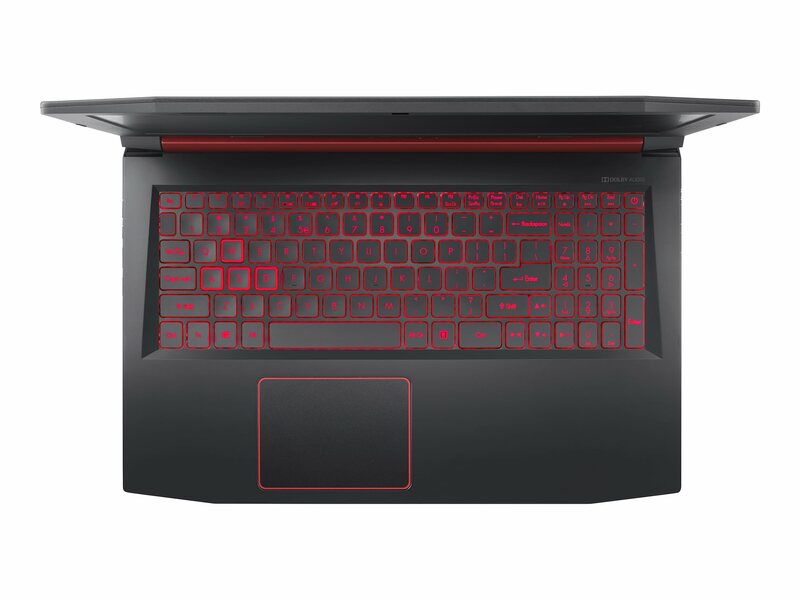 List price: $194.99. 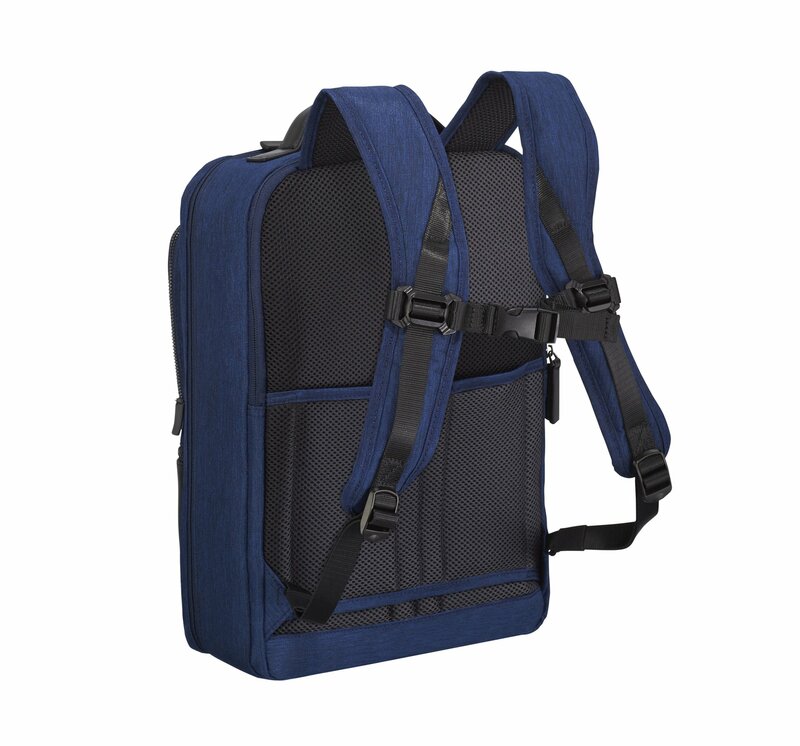 In your cart, log in, then use promo code: NEFPBL24 for the discount. 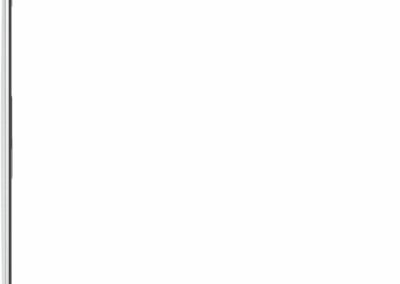 Scheduled to expire 4/21/19. 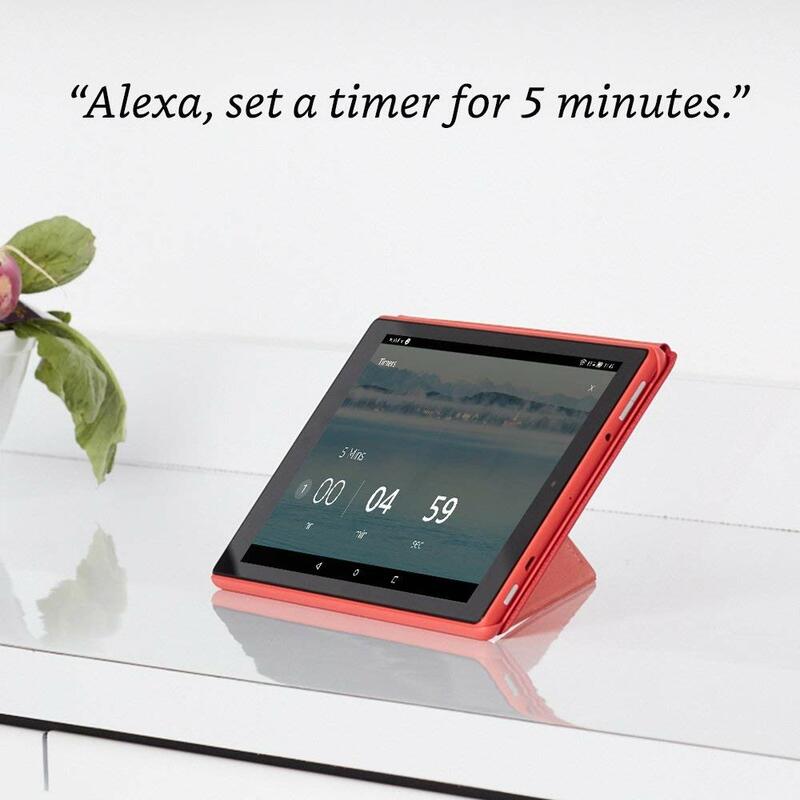 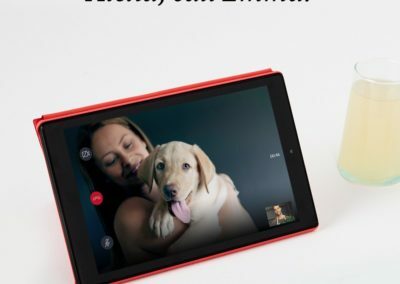 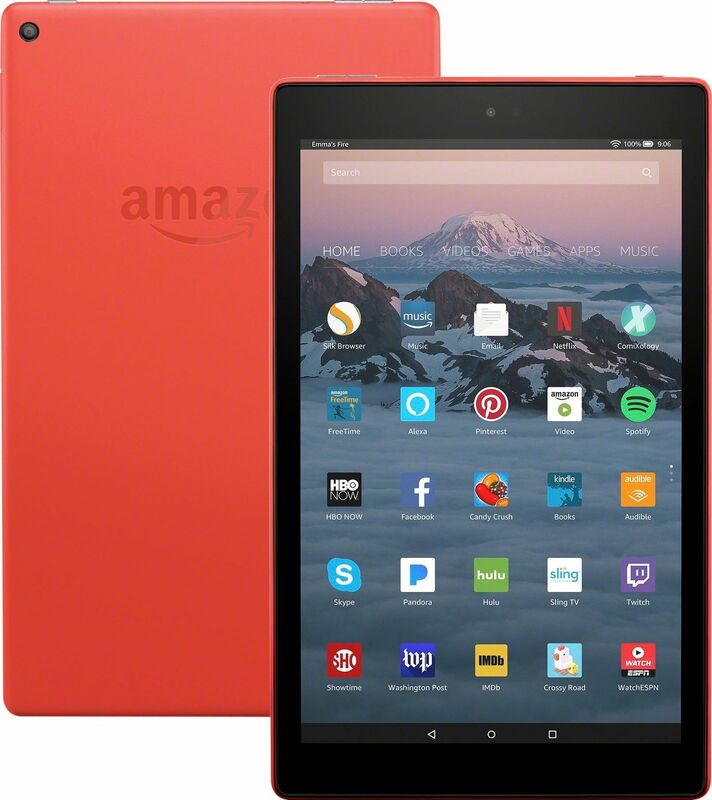 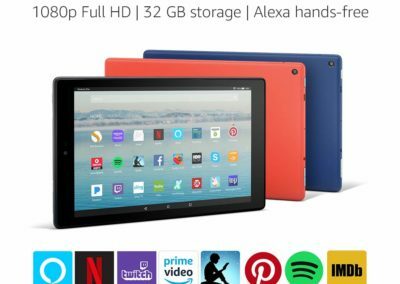 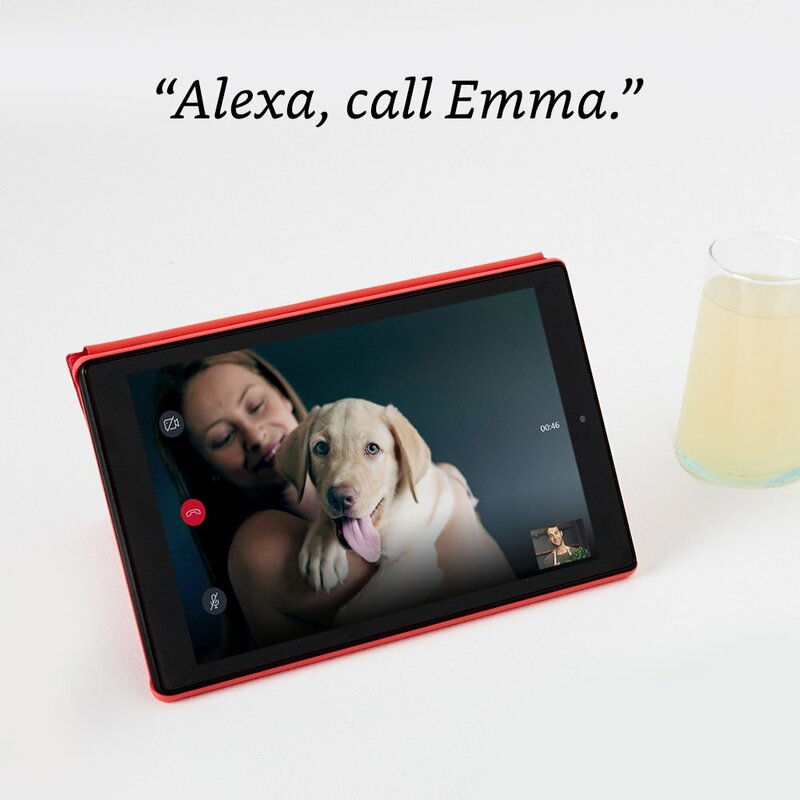 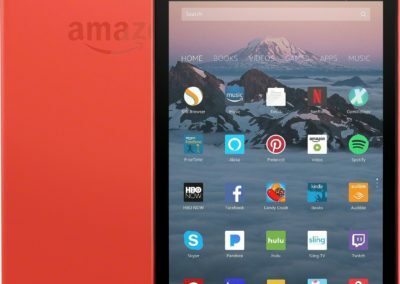 Best Buy, through Google Express, is selling the current generation 10.1″ Amazon Fire HD 10 Tablet with Alexa Hands-Free, 32GB for $99.99 (Amazon price: $149.99). 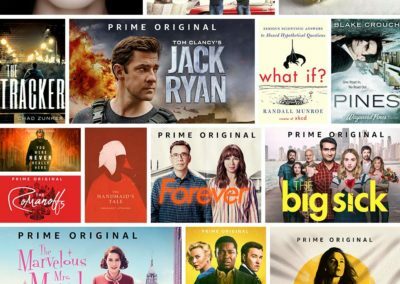 If you’re a new Google Express customer, use code: APRSAVE19 for 20% off your first order, up to $20 off max. 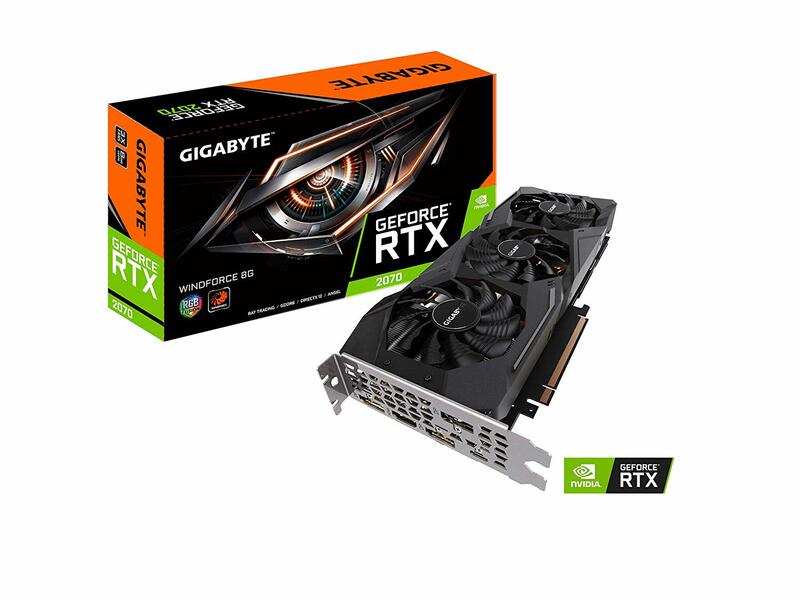 Expires 4/28/19. 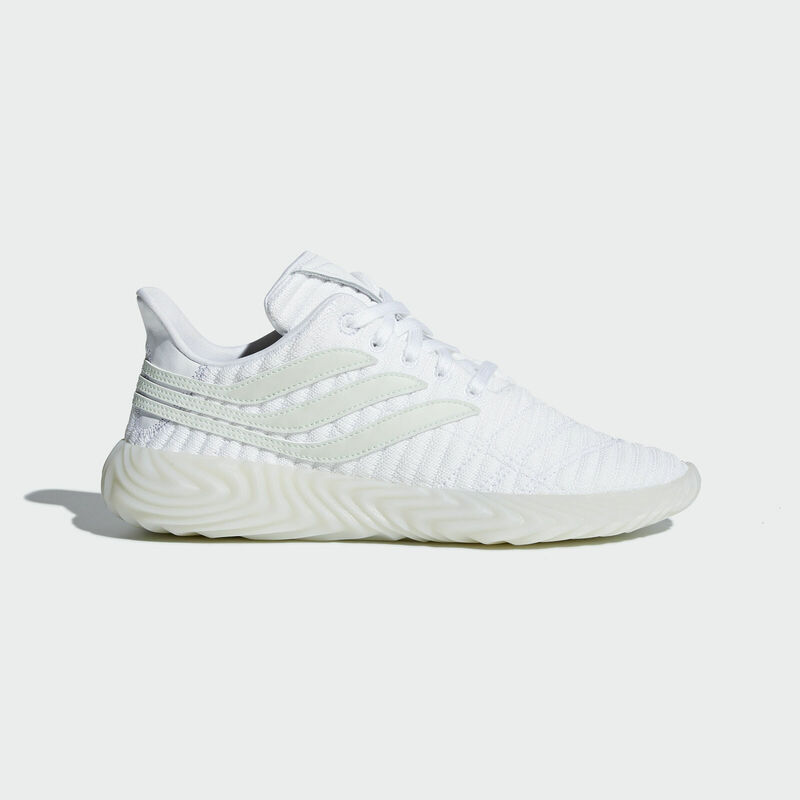 The pricing will probably expire Central Time tonight, 4/16/19 though. 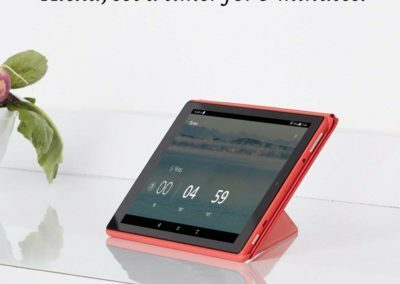 This tablet has a good quality IPS touchscreen with 1920 x 1200 resolution, quad-core 1.8Ghz processor, 2GB RAM, 32GB storage + microSDXC expansion slot, and 10-hour battery. 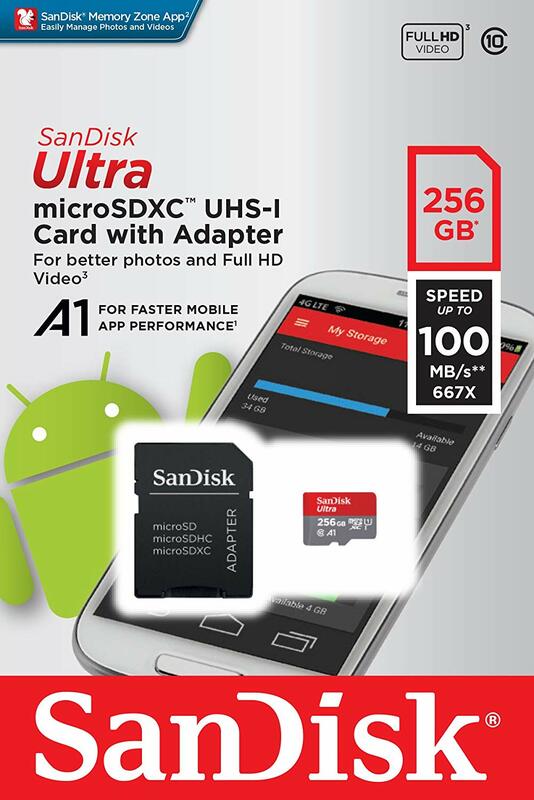 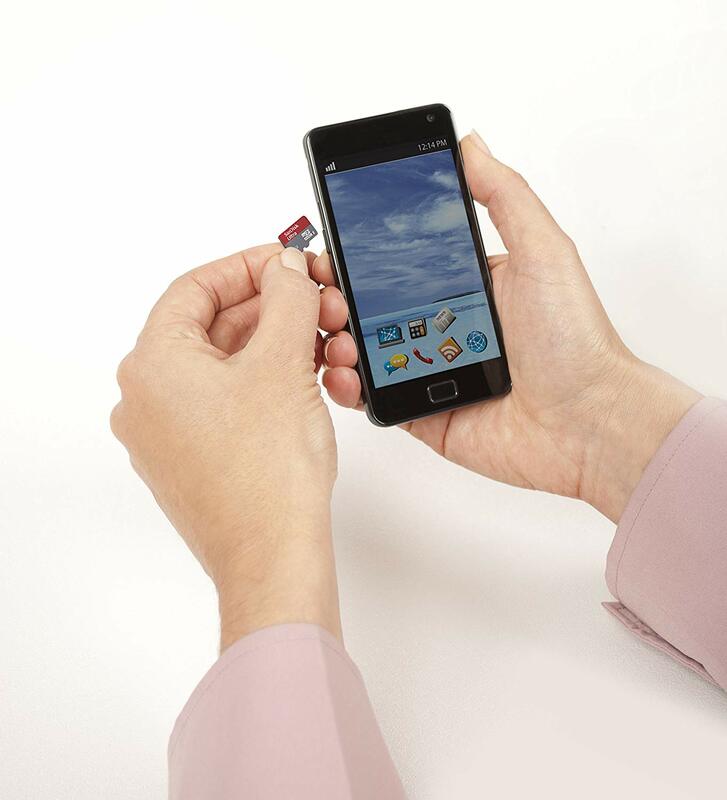 32GB internal storage expandable by up to 256 GB (using the microSD slot). 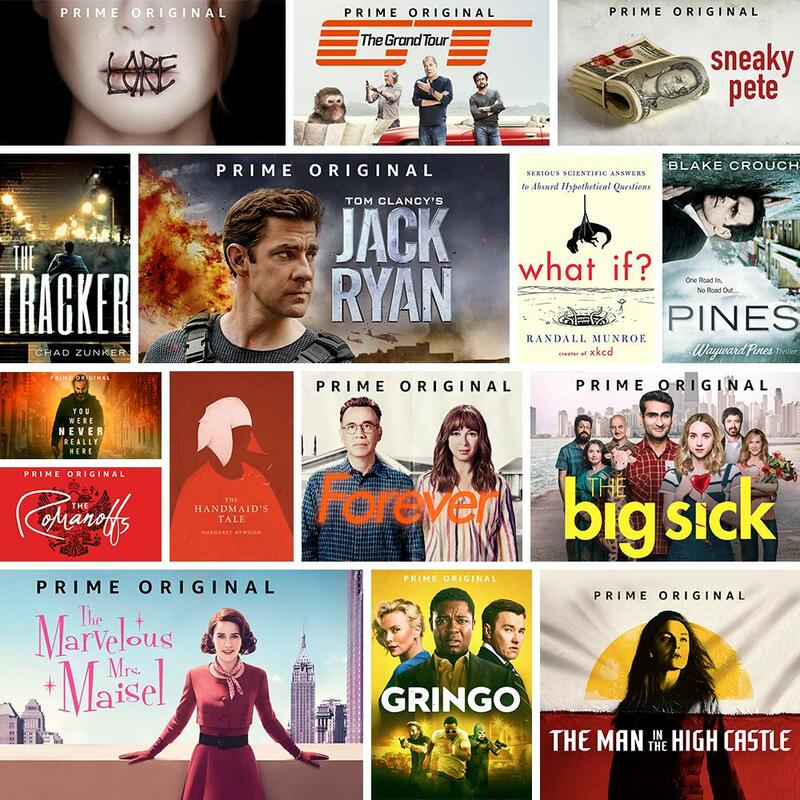 Watch downloaded videos anywhere with a Prime membership, Netflix plan, or Showtime subscription. 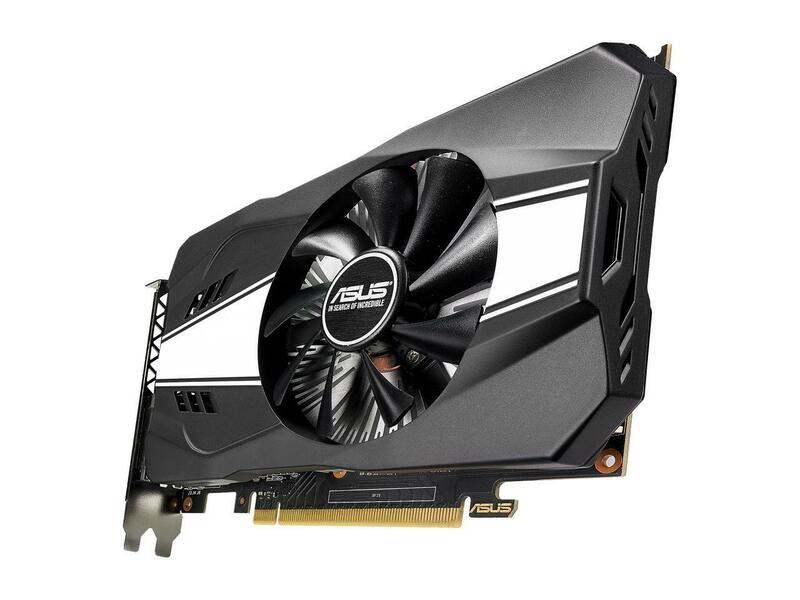 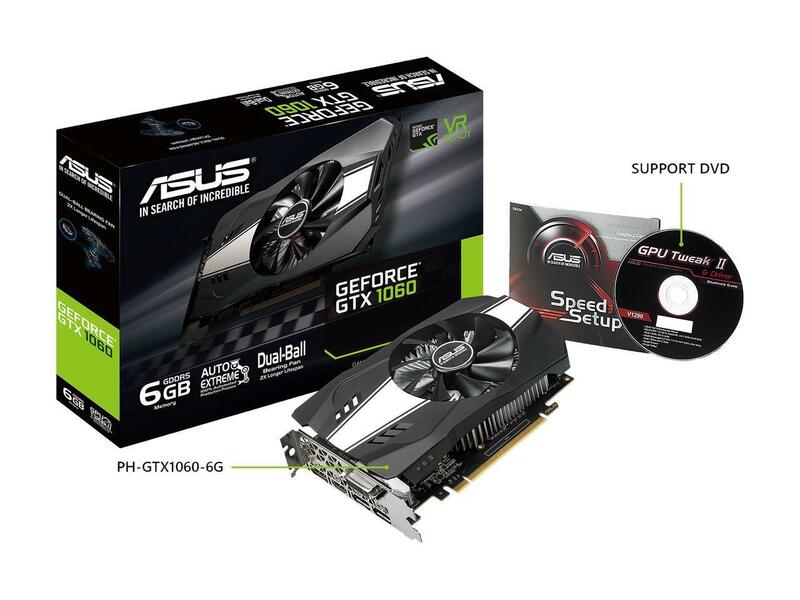 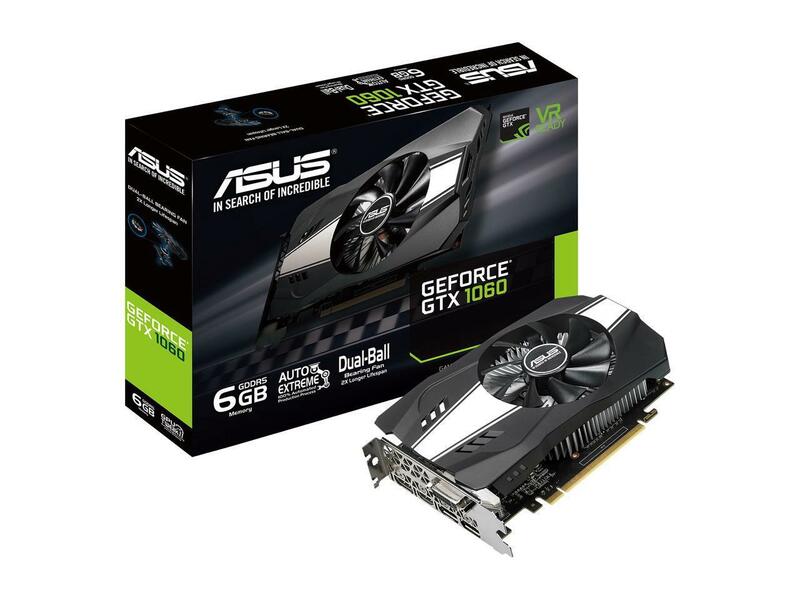 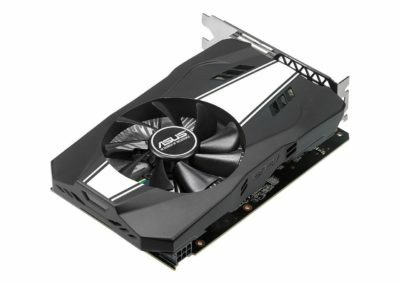 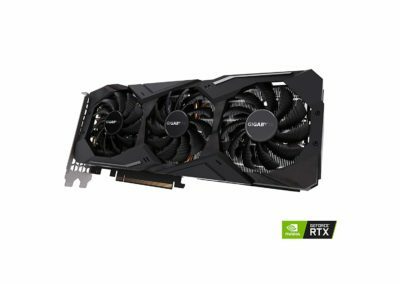 ASUS GeForce GTX 1060 PH-GTX1060-6G 6GB 192-Bit GDDR5 PCI Express 3.0 HDCP Ready Video Card for $169.99 after rebate, free shipping from Newegg. 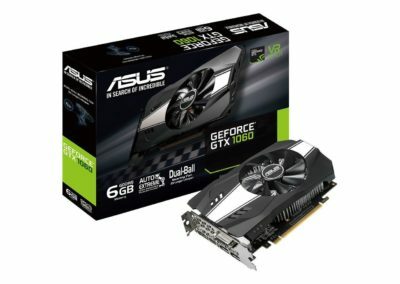 Free NVIDIA Fortnite Gift Bundle worth $45 with purchase too. 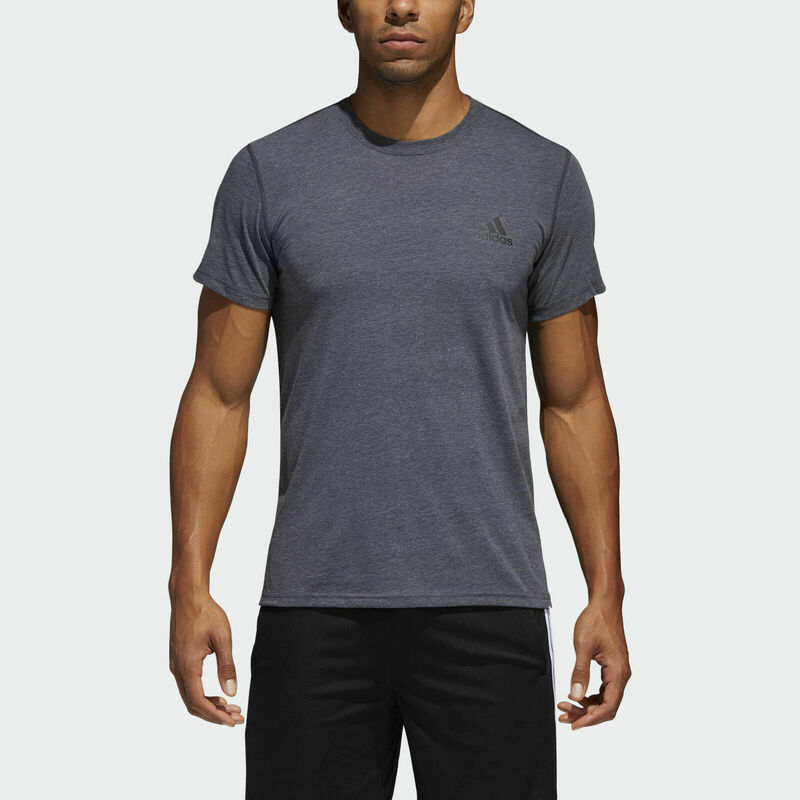 In your cart, log in, then use promo code: EMCTYUA32 for the discount. 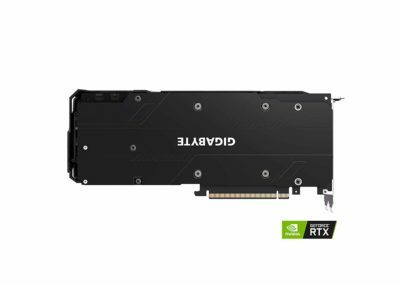 Limit 2 per customer. 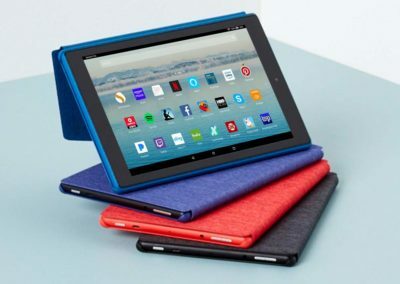 $30 rebate ends 4/30/19 and is linked on the product page. 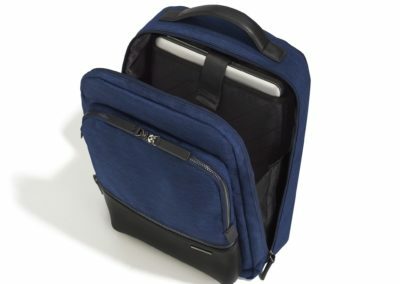 A great backpack for the commuter and road warrior alike! 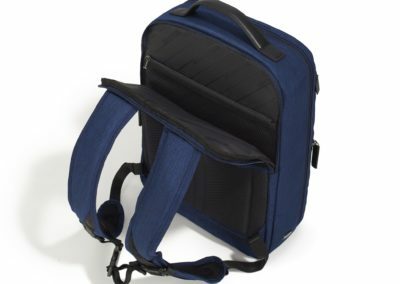 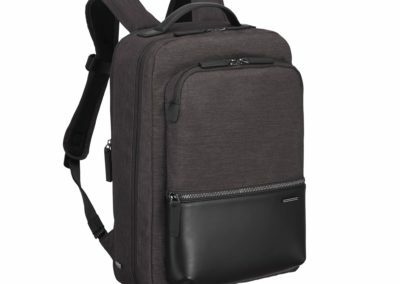 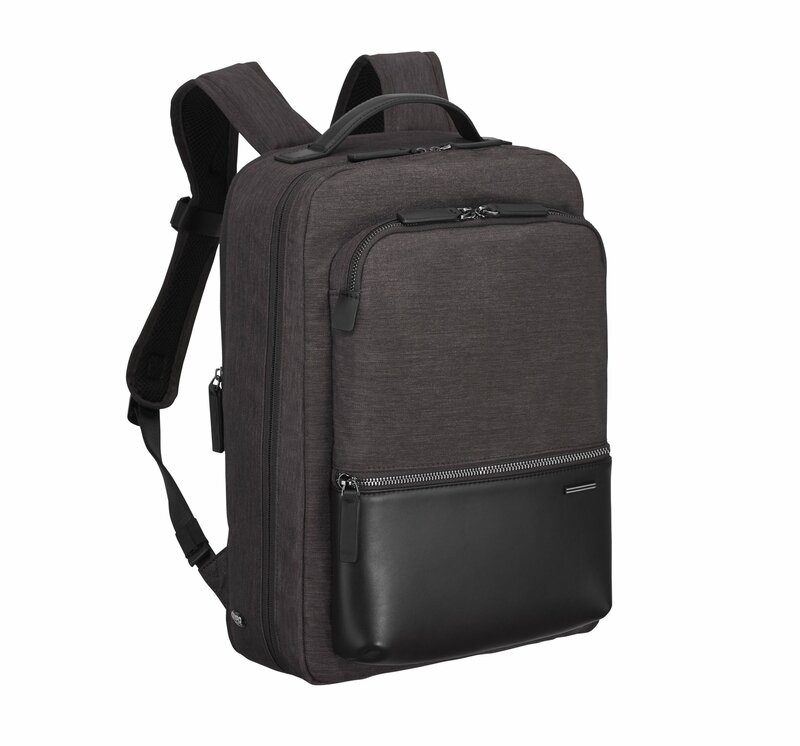 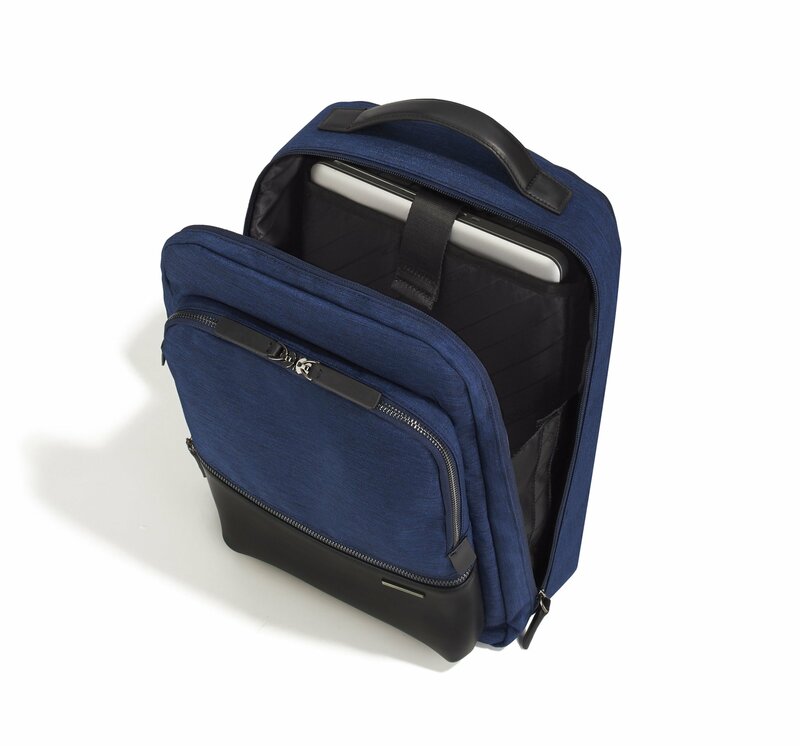 This sleek backpack holds everything you need in a compact form with nothing extra flapping about. 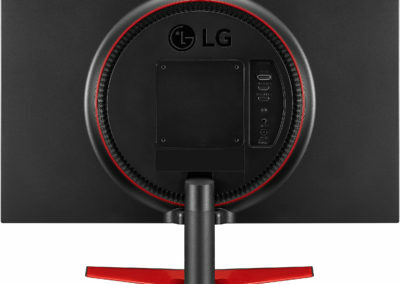 50% off drops the price down to just $112.50 with shipping included and a 5 year warranty. 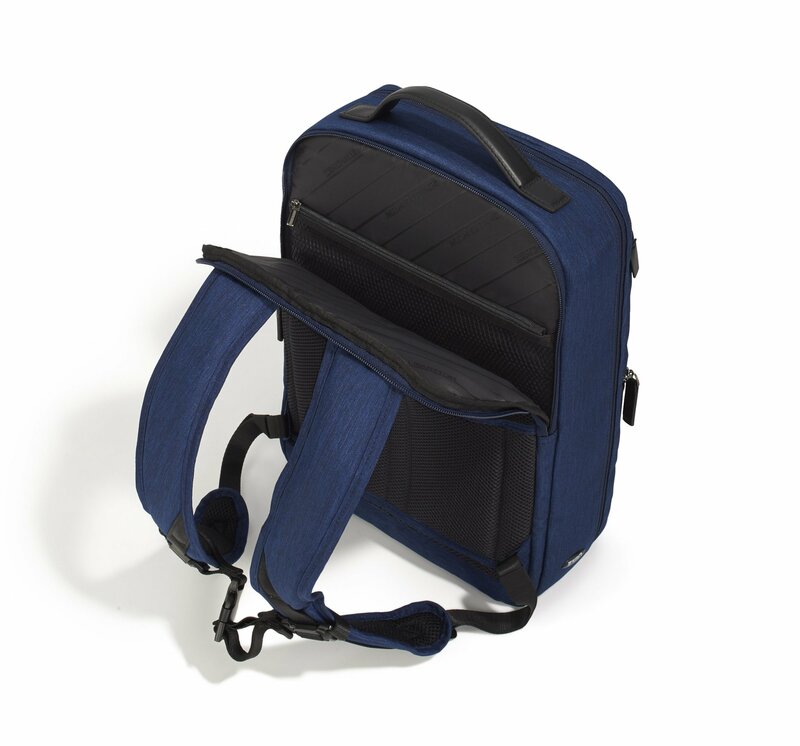 They also have a slightly larger backpack as well as messenger style bags, all 50% off. 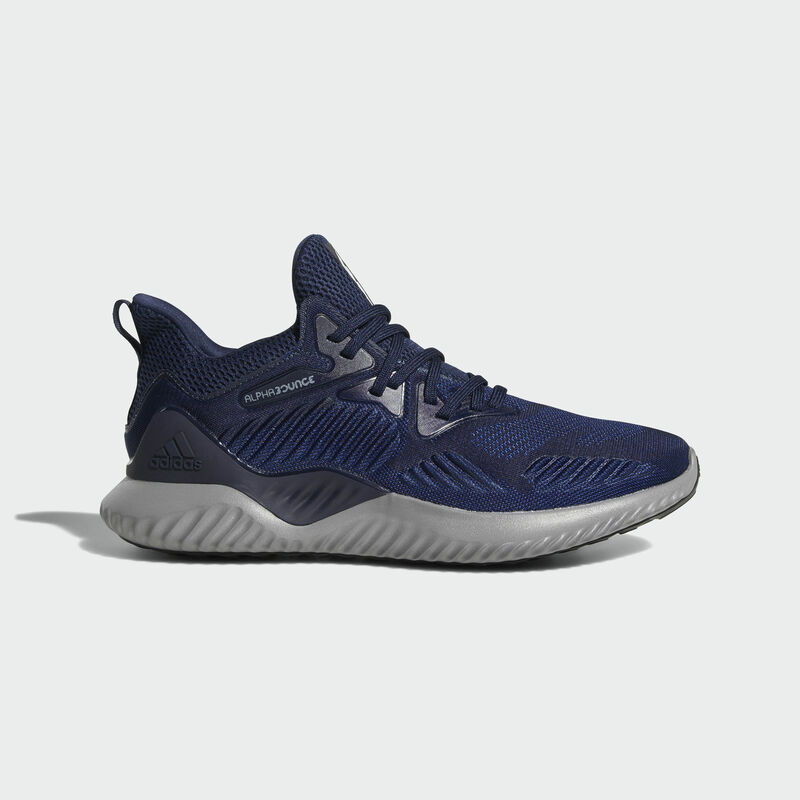 All are available in this black or navy colorways. 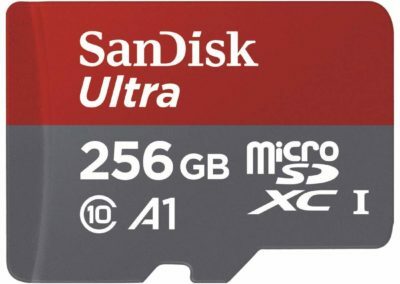 Amazon is having a sale on their storage and memory products today, with discounts upwards of 85% on some products. 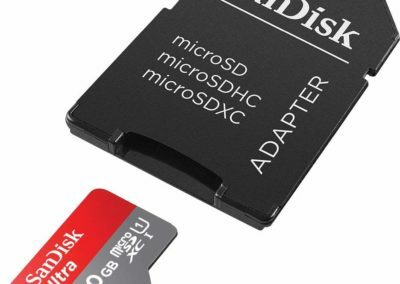 Save Big on Select Memory and Storage Products with Amazon’s Today’s Deals. 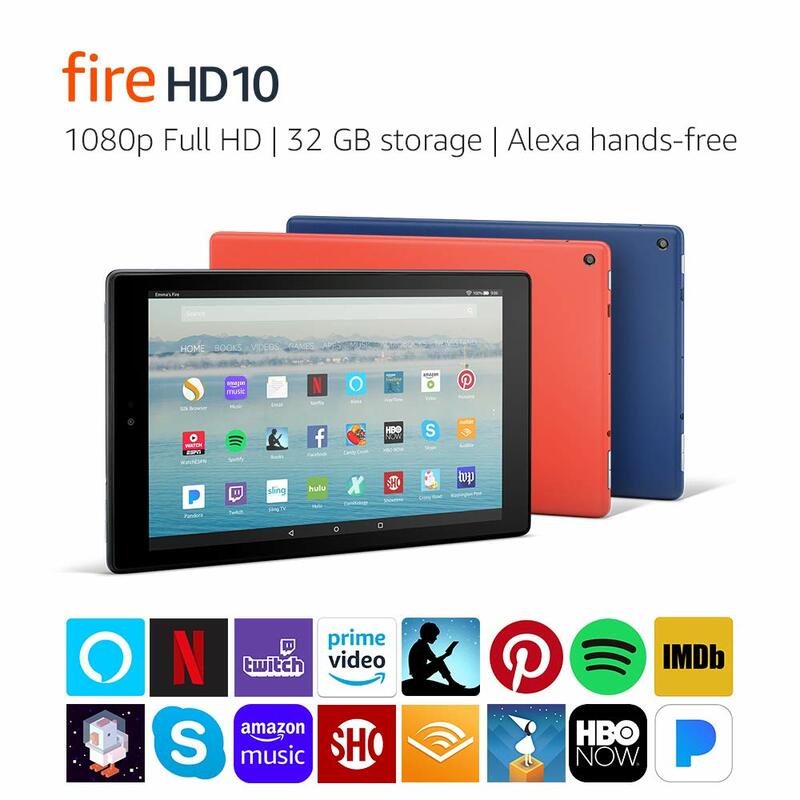 Valid 4/14/19 only. 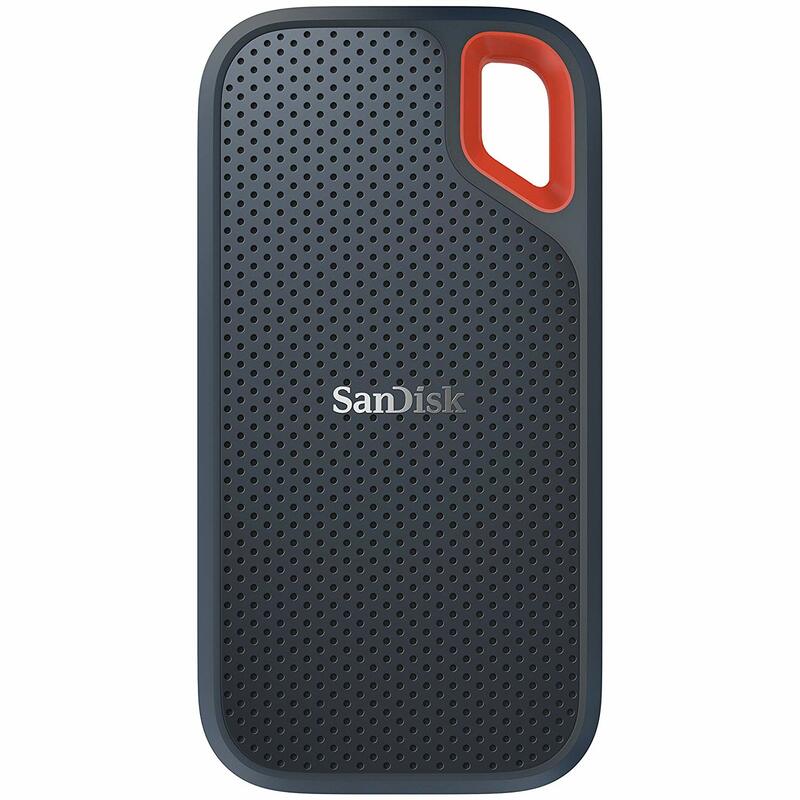 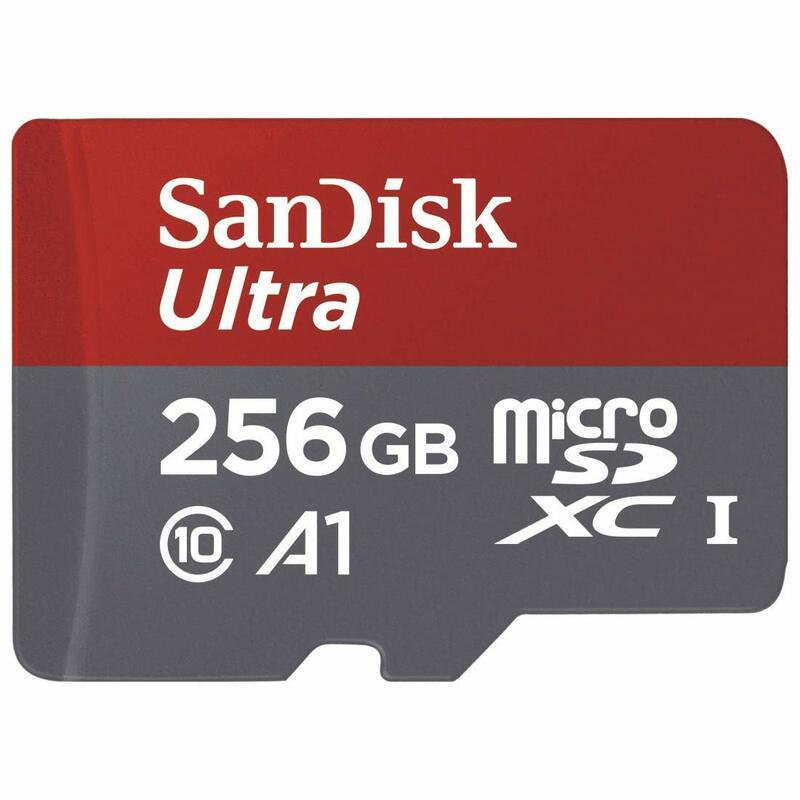 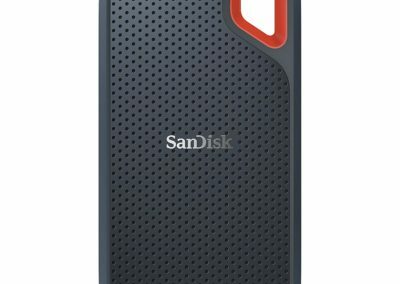 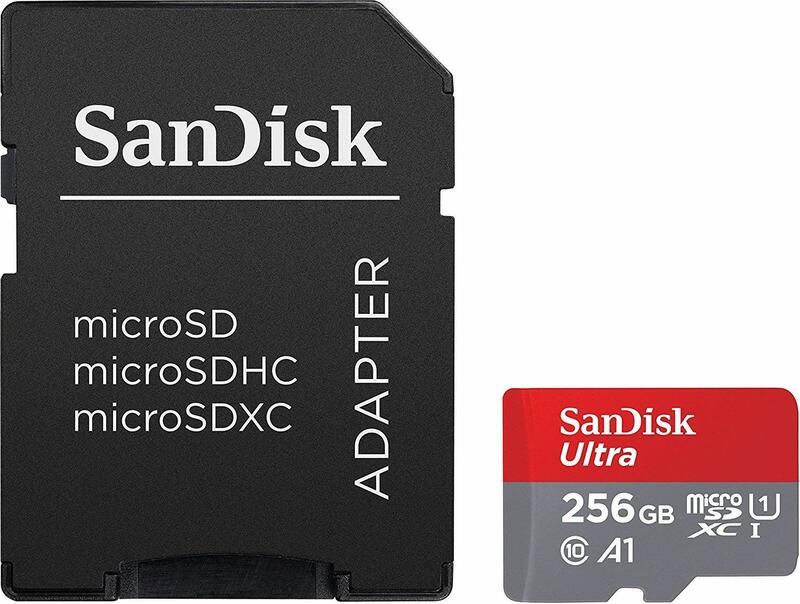 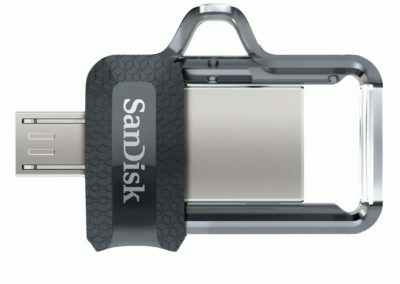 Amazon is having a storage special today, with a deep discount on this 256GB SanDisk Ultra SDSQUAR-256G-GN6MA microSDXC card plus full-sized adapter. 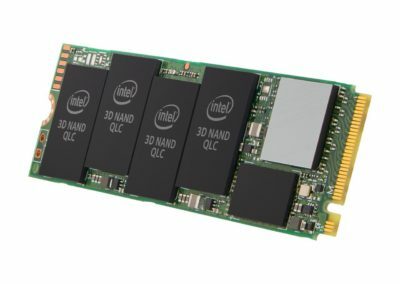 It’s good for up to 100MB/s sequential read speeds, and carries a 10 year warranty. 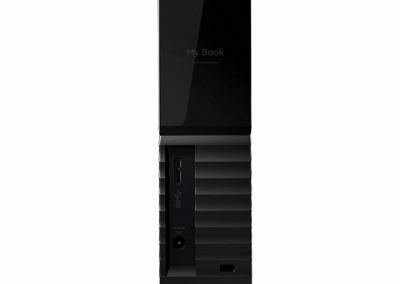 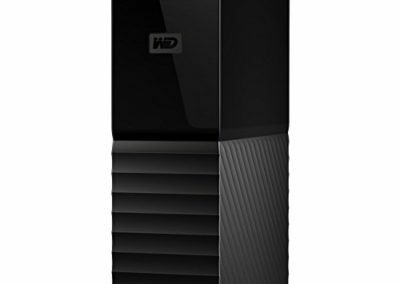 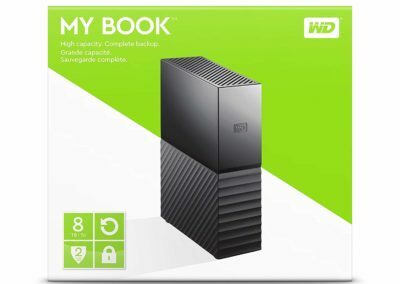 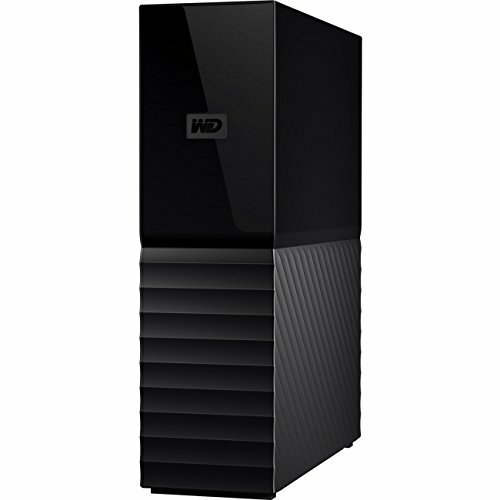 Today only (4/14/19), Amazon has the 8TB WD My Book WDBBGB0080HBK-NESN external USB 3.0 desktop hard drive for $126.99 with Prime shipping. 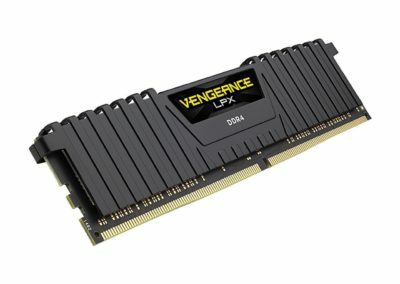 List: $299.99. 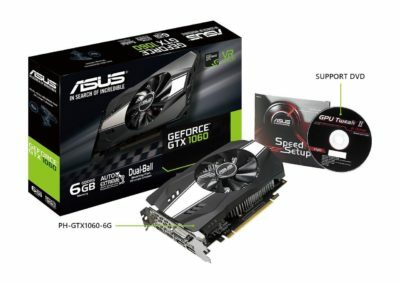 This is higher end than their “Elements” version. 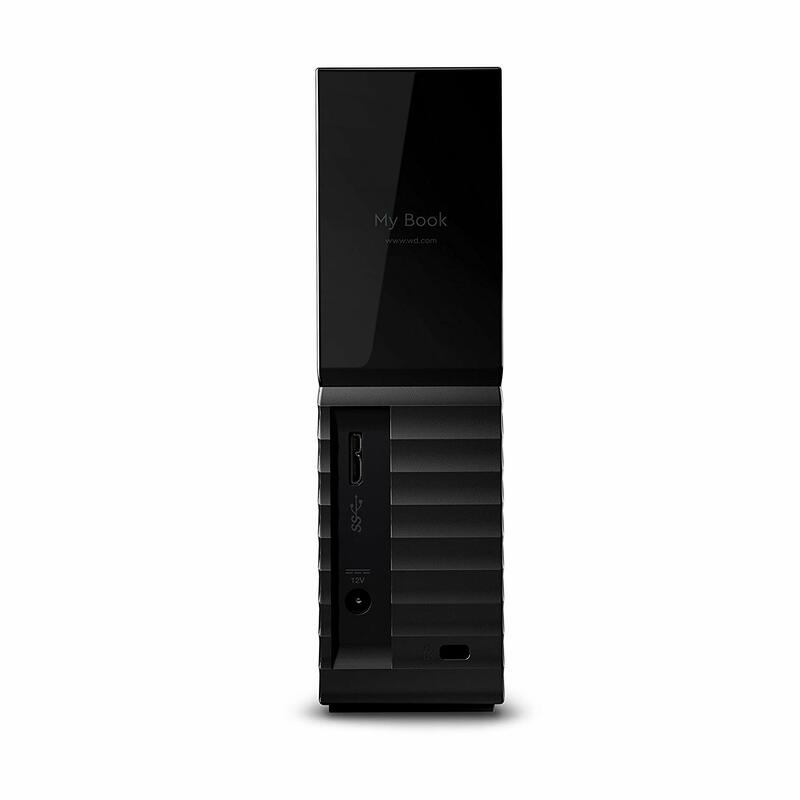 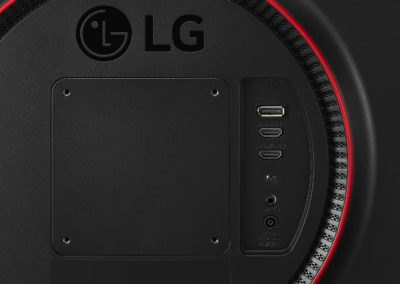 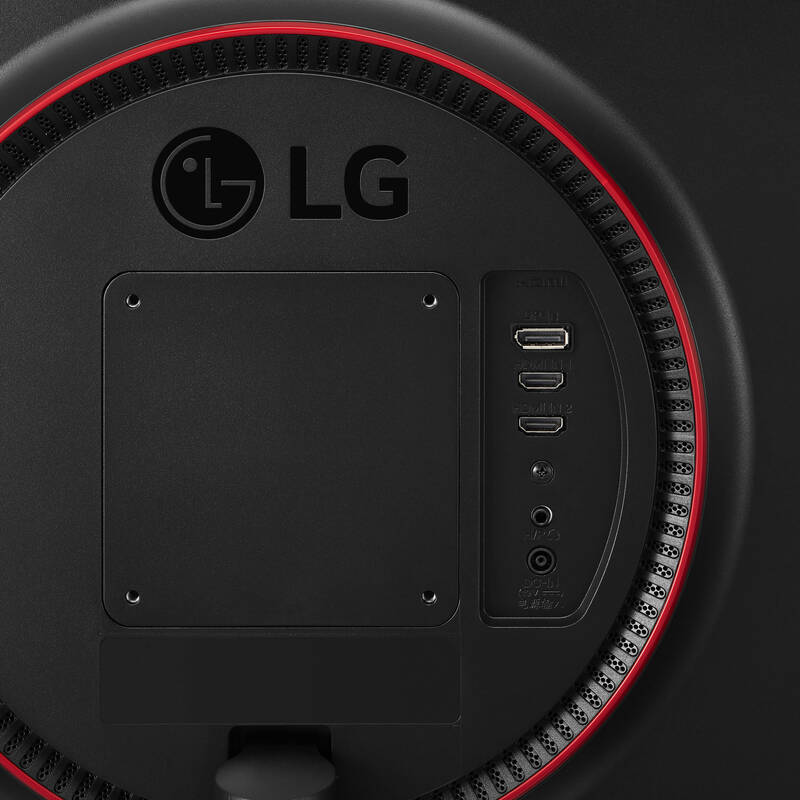 It includes auto-backup, is Time Machine compatible, has hardware encryption, and carries a 3-year warranty. 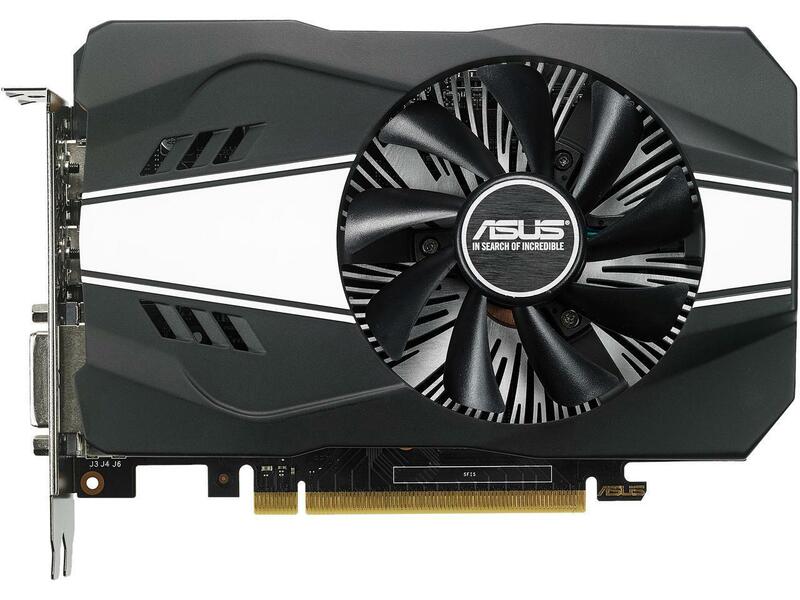 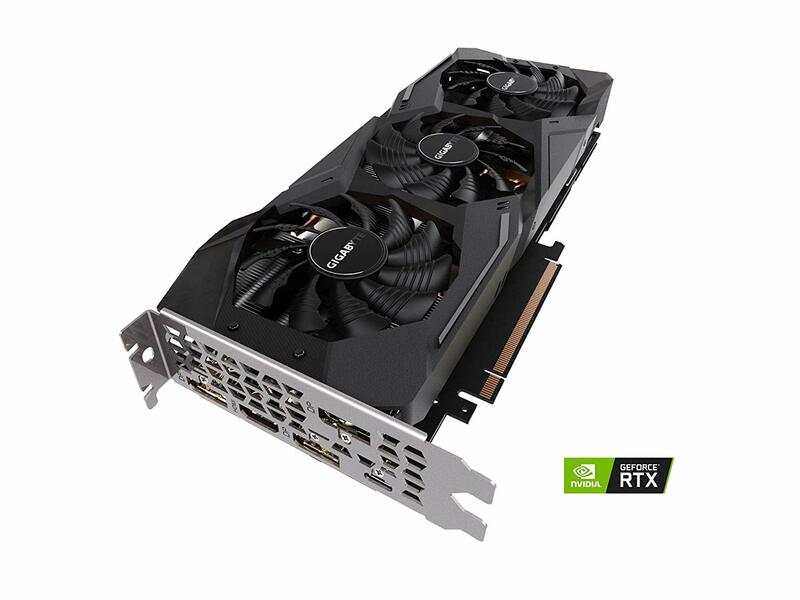 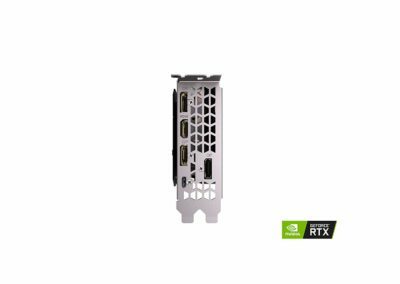 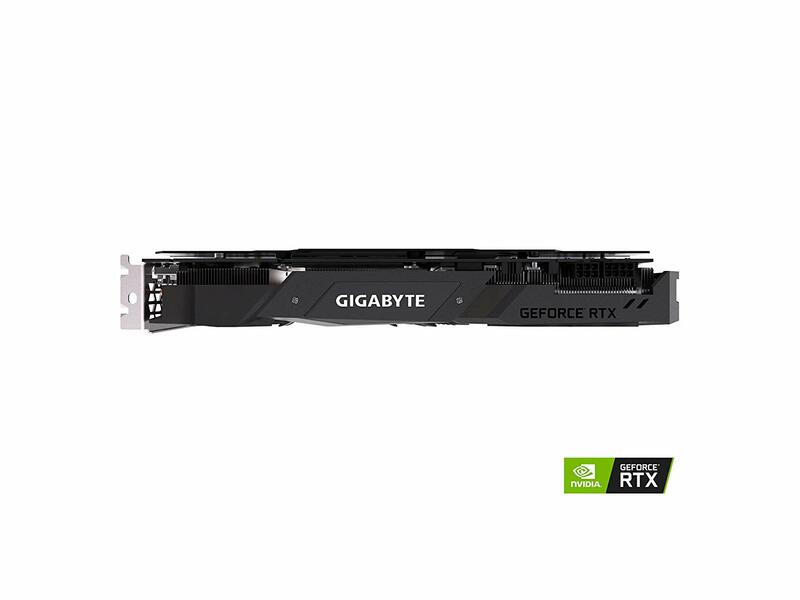 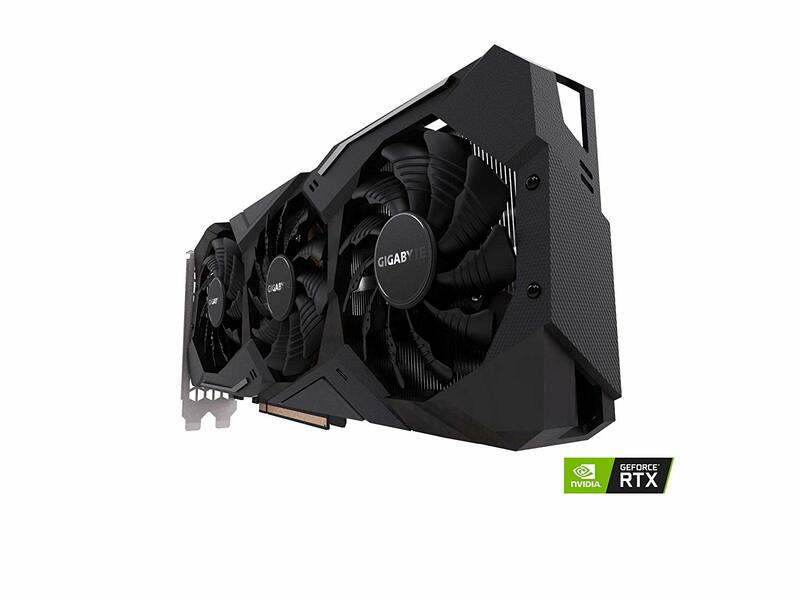 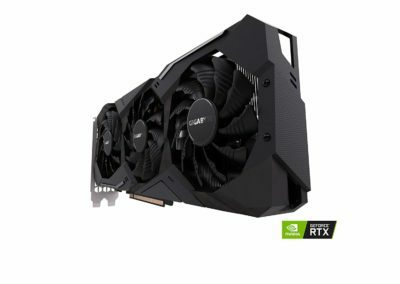 Newegg has this PC World Editor’s Choice Award winning card powered by NVIDIA’s GeForce RTX 2070 Turing Architecture for just $459.99 shipped. 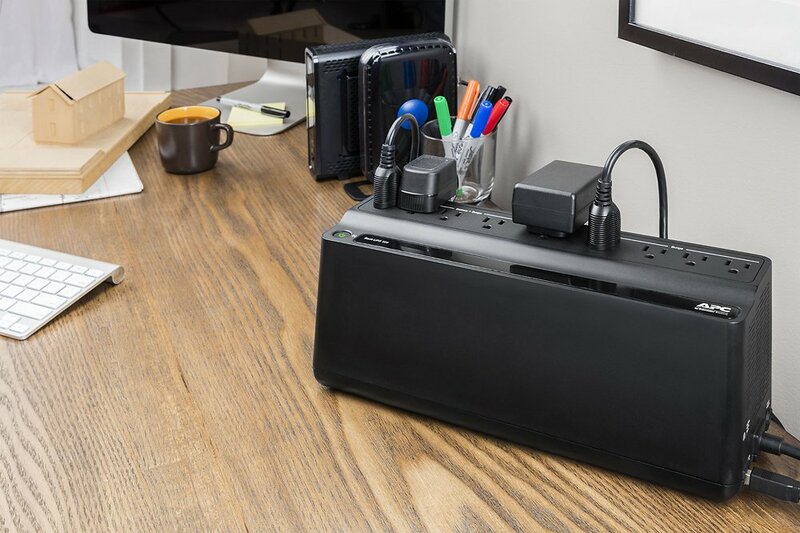 In your cart, log in, then use promo code: EMCTYUA29 for the discount. 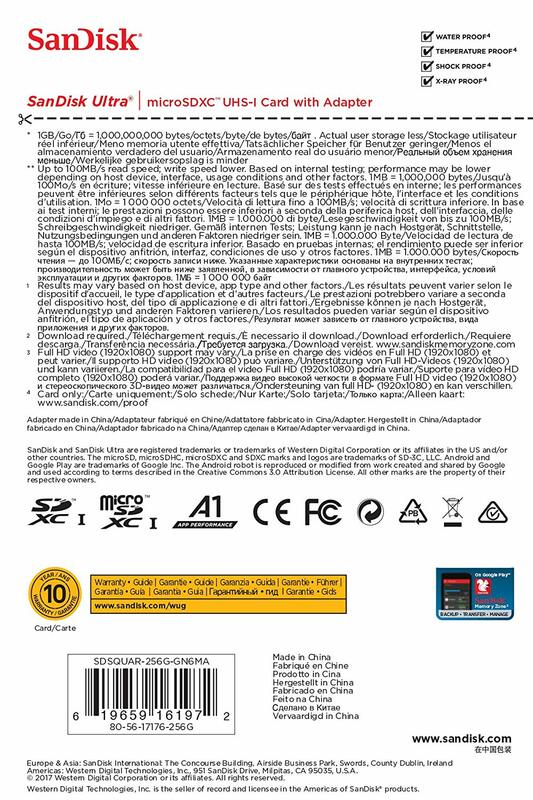 Expires 4/16/19. 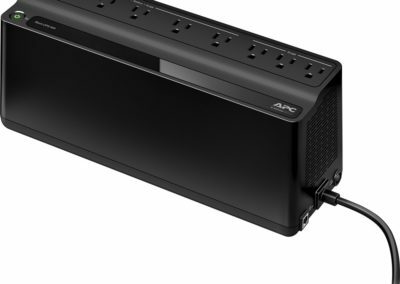 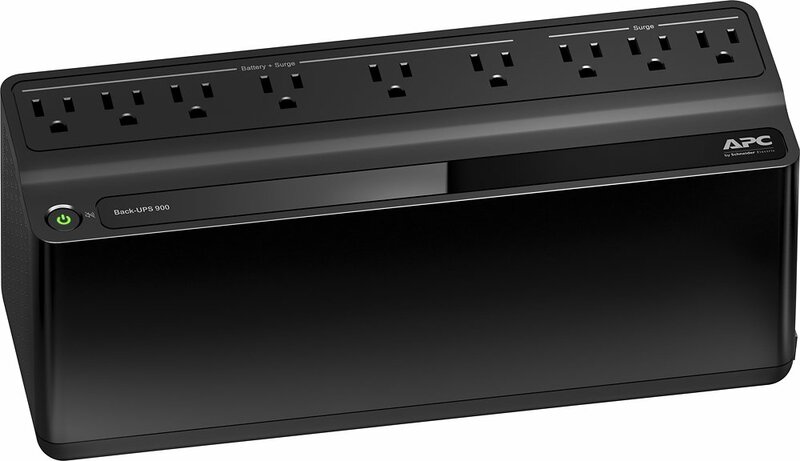 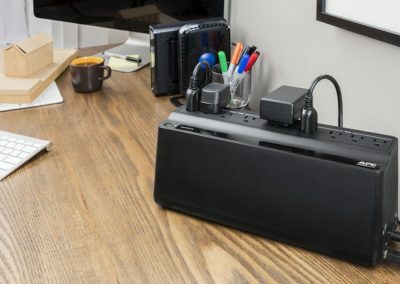 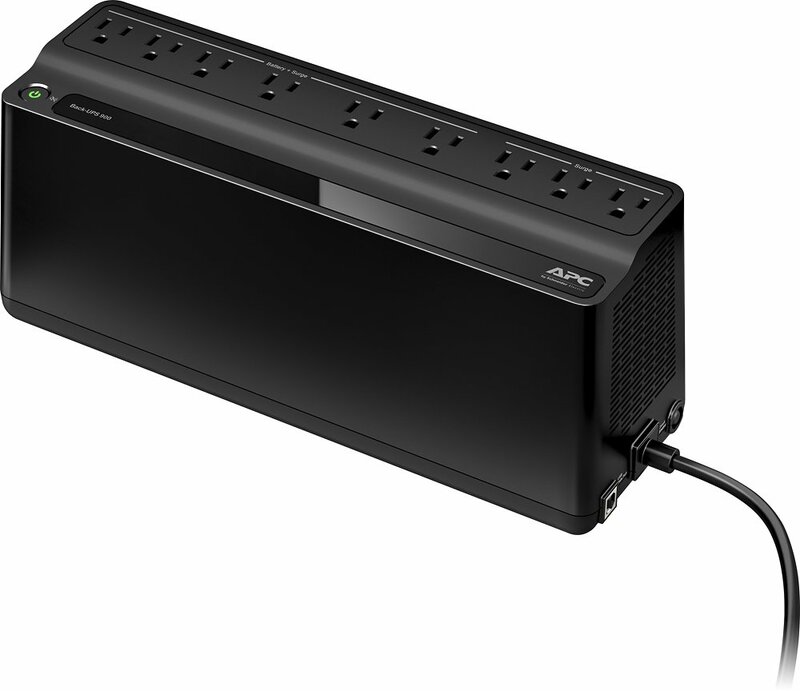 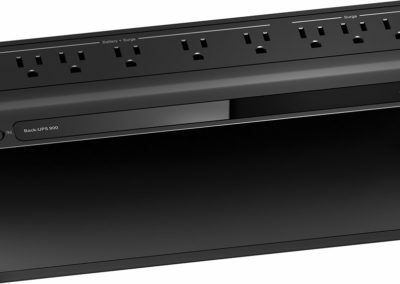 APC BN900M Back-UPS 900VA Battery Back-Up System in Black for $69.99 shipped from Best Buy through eBay. 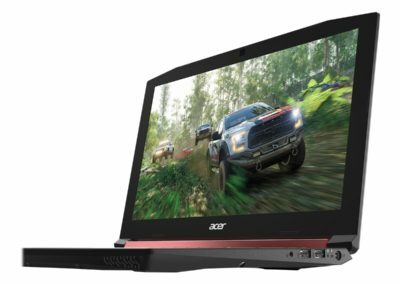 Features up to 5.9 hours of battery run time, and carries a $75,000 equipment protection policy from APC.